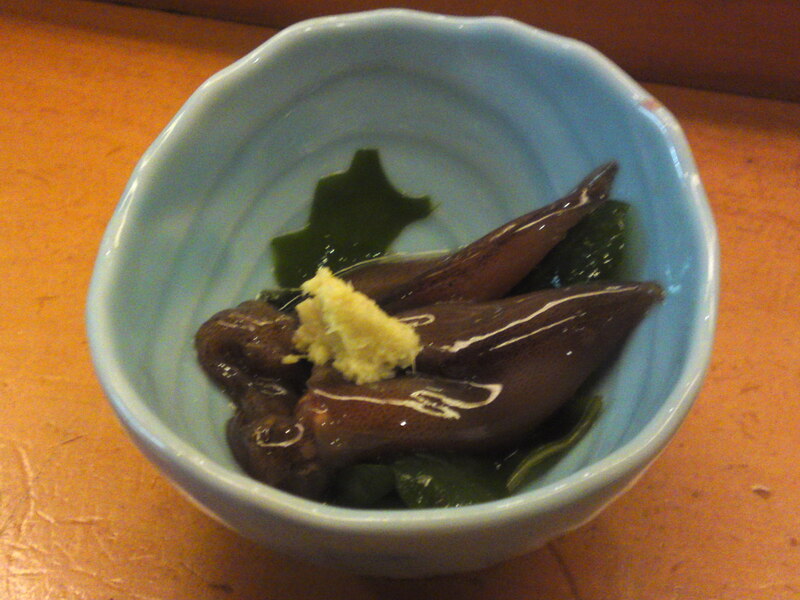 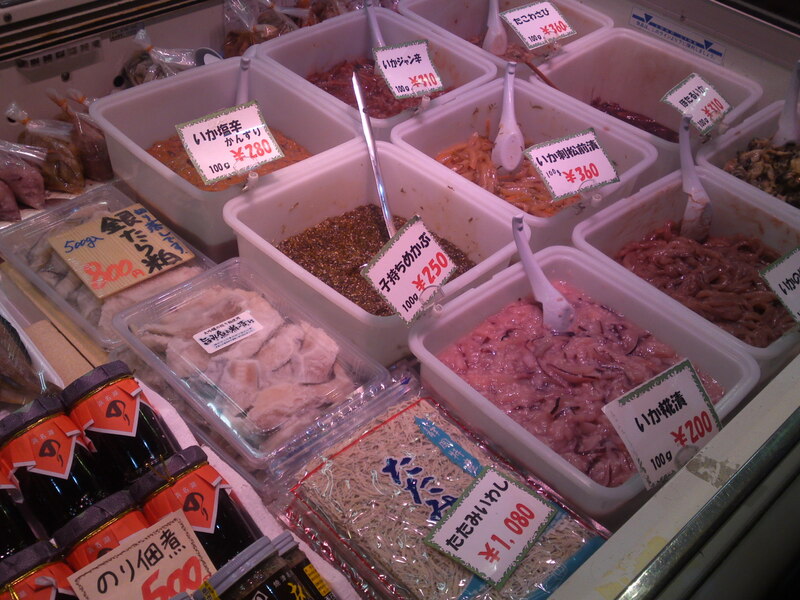 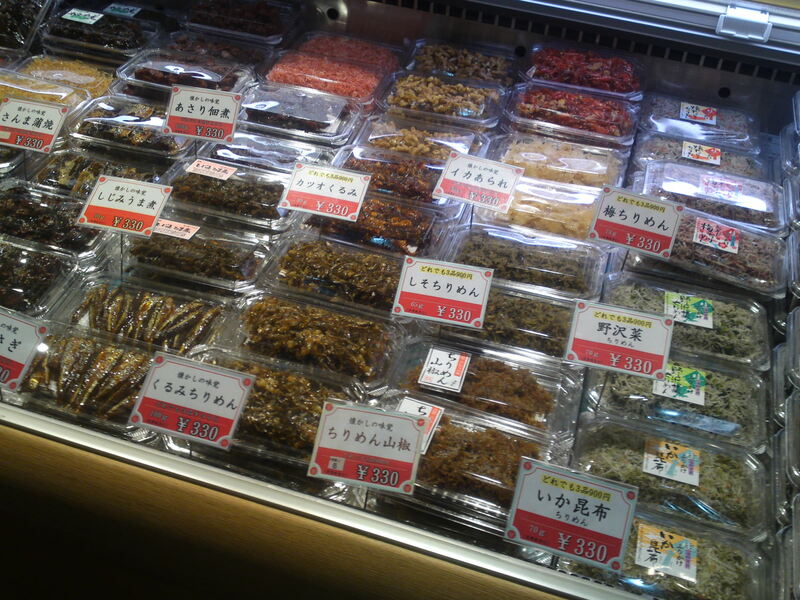 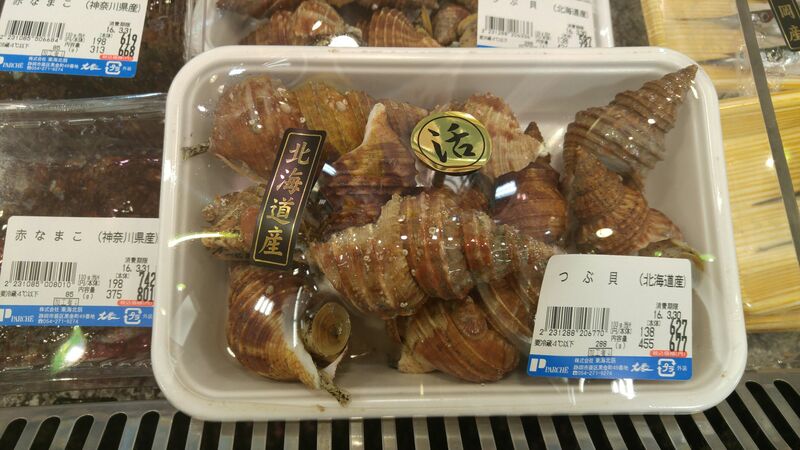 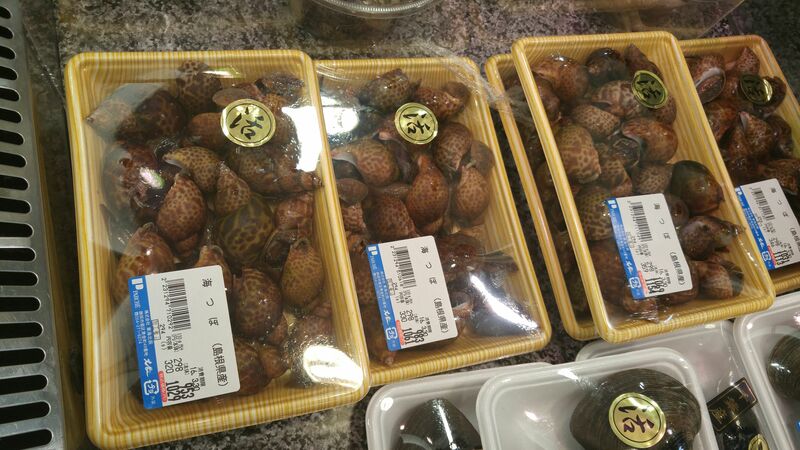 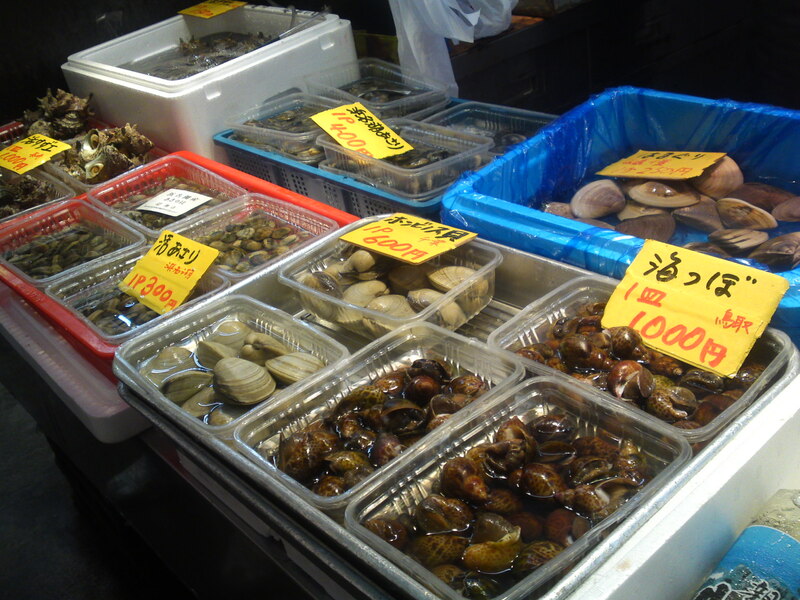 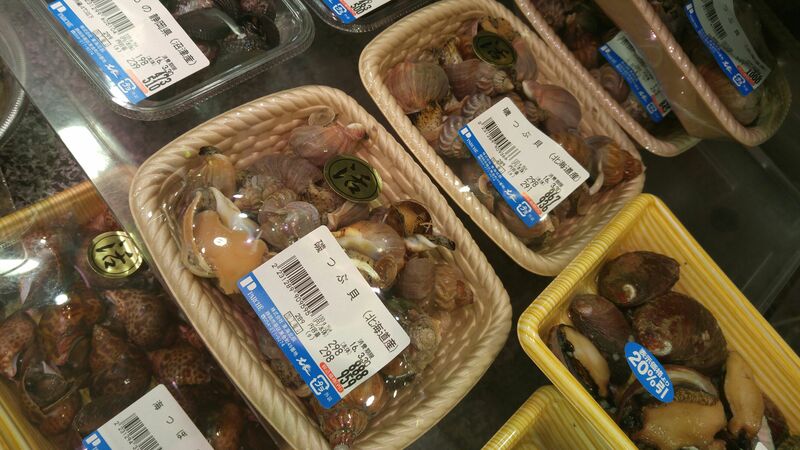 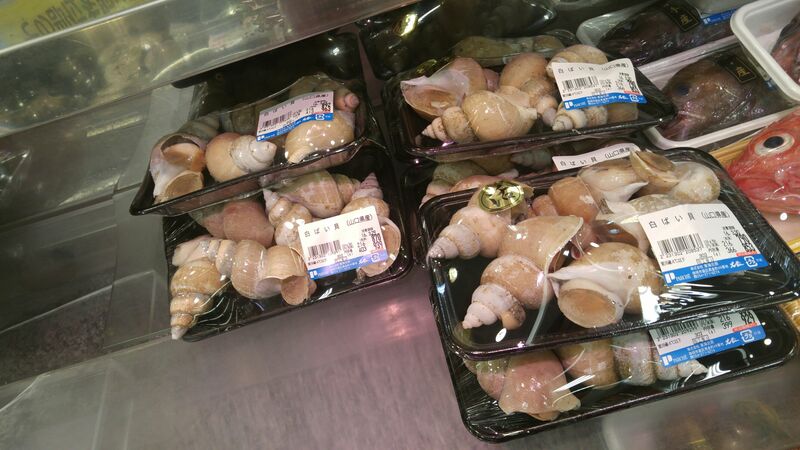 Local Shizuoka Fish & Seafood At Parche Fish Market In Shizuoka City: Including Red Sea Slugs! 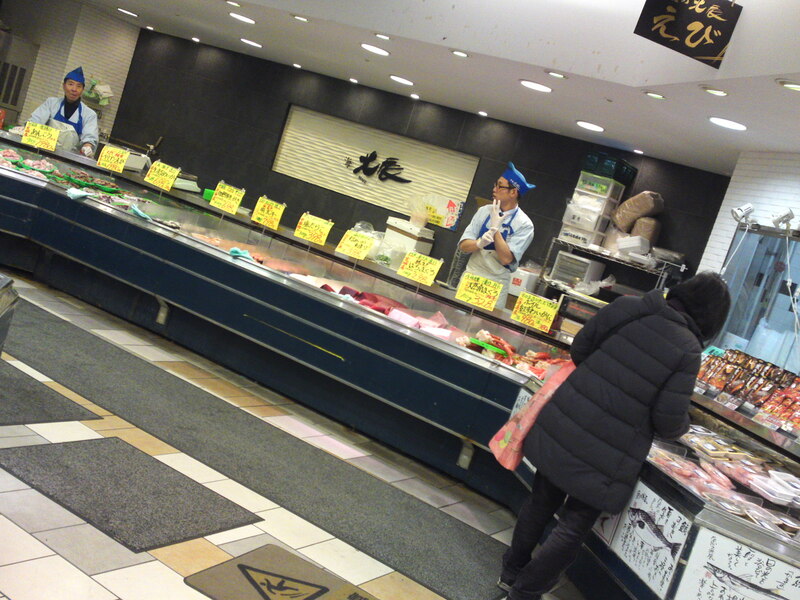 After the long lapse caused by the End of the Year and the New Year Holidays, new arrivals can be at last be seen at the Fish Market in Parche inside JR Shizuoka Station! 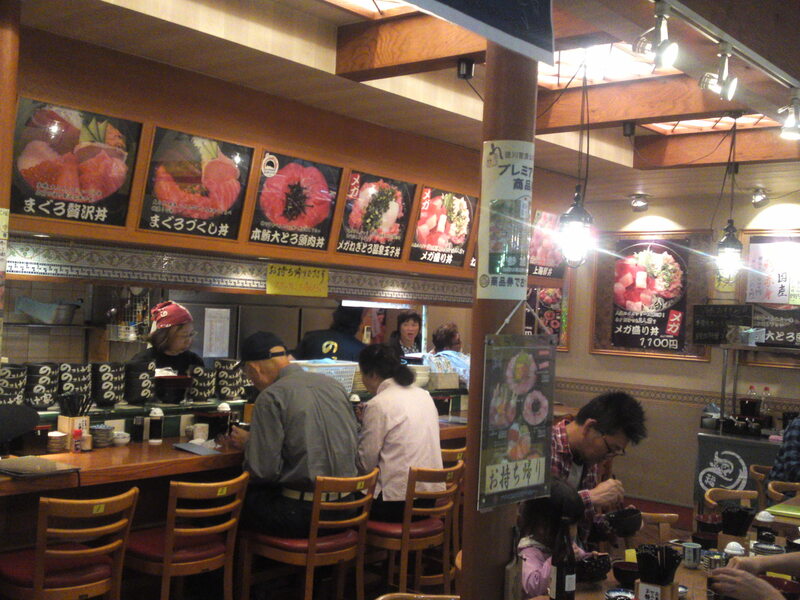 Customers are only starting to come, but it should gete as busy as usual soon! 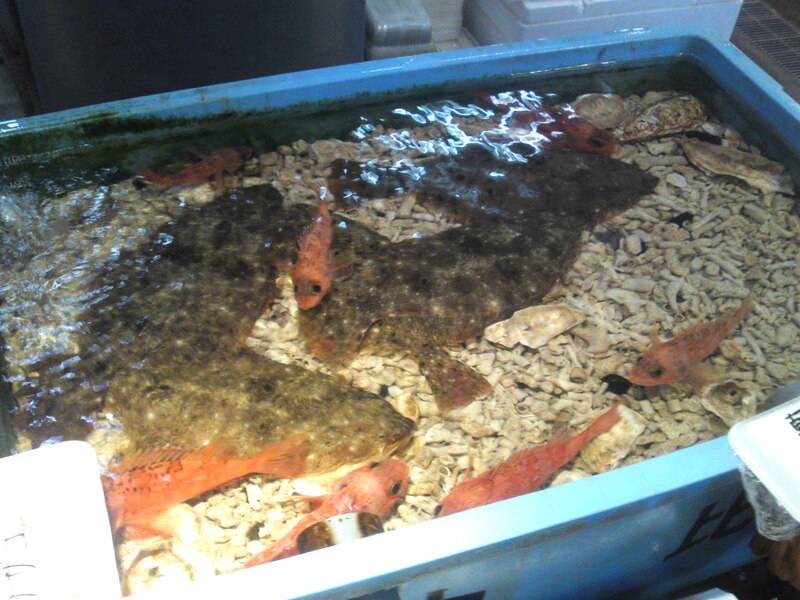 What fish do we have in the day’s mixed batch? 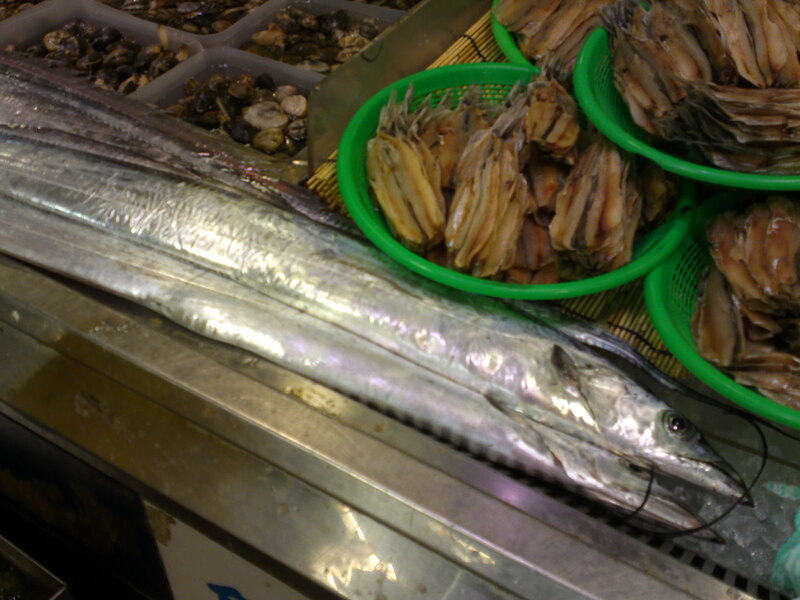 Anago/穴子、海鰻: conger eel (from Miyagi Prefecture)! 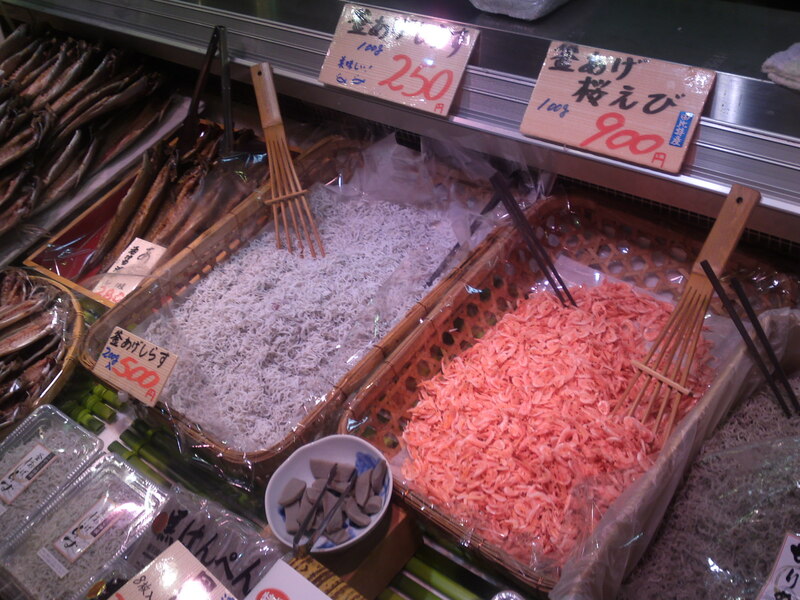 A strange but very popular seafood: Aka Namako/赤海鼠 (written locally 赤なま子! 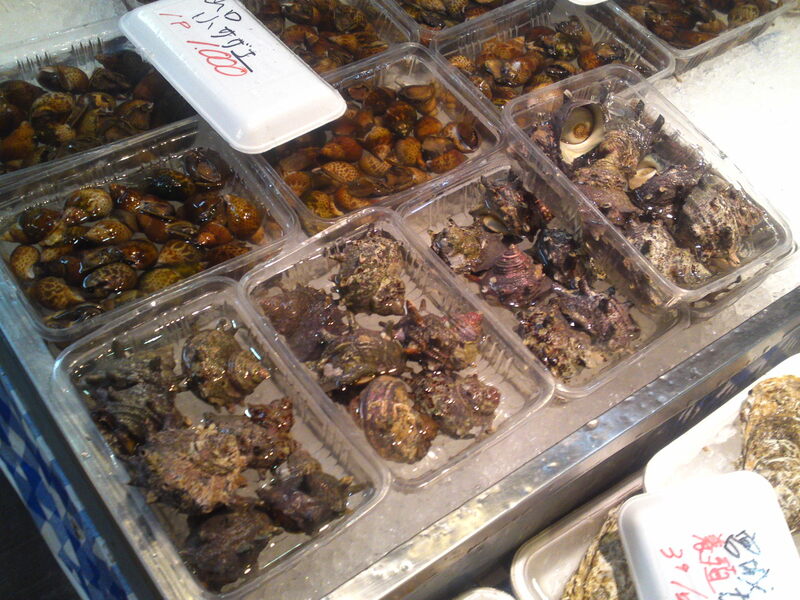 ): red sea slug, red sea cucumber! 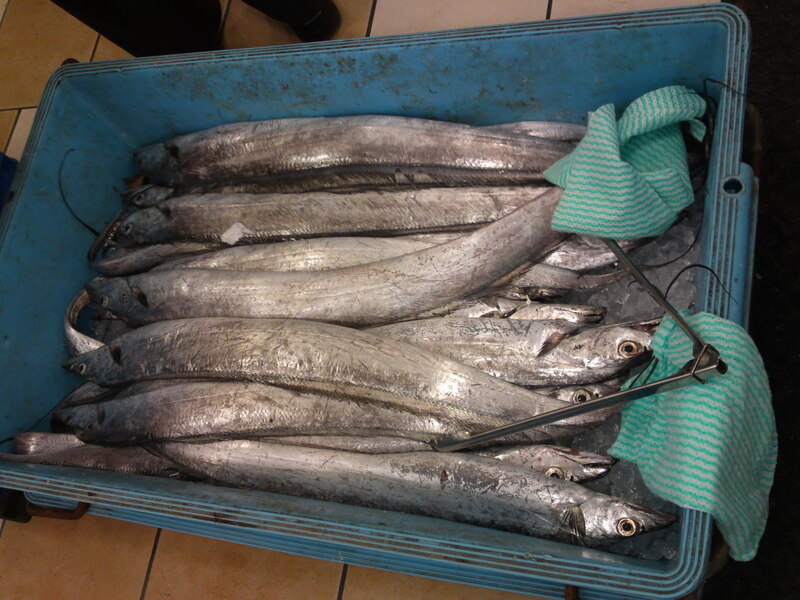 Thees log silvery fish have been caught by hand! 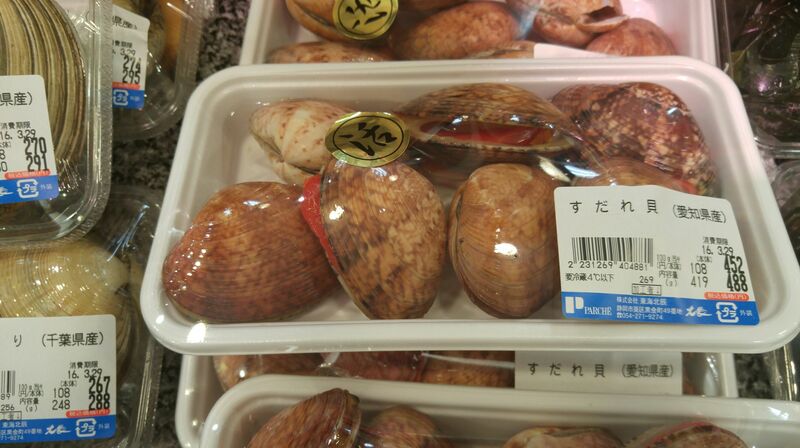 Kose/コセ: A variety of Stripped jack! 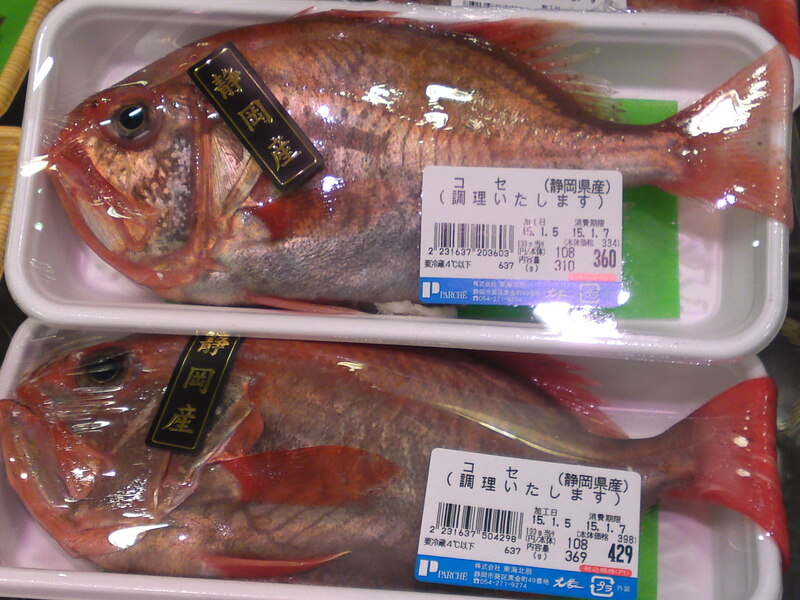 Kasago/笠子、瘡魚: False kelpfish, Marbled rockfish (top)! 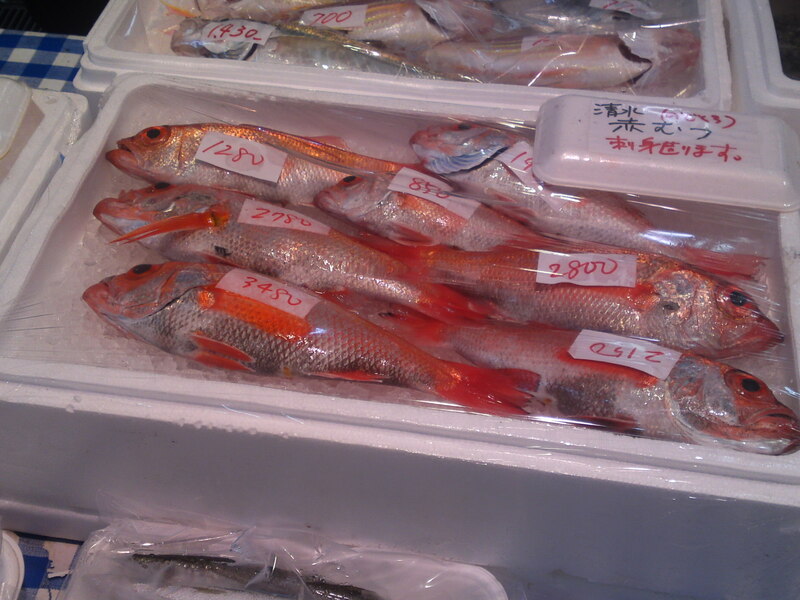 Aka kasago/赤笠子：Red False kelpfish, Red Marbled rockfish (bottom)! 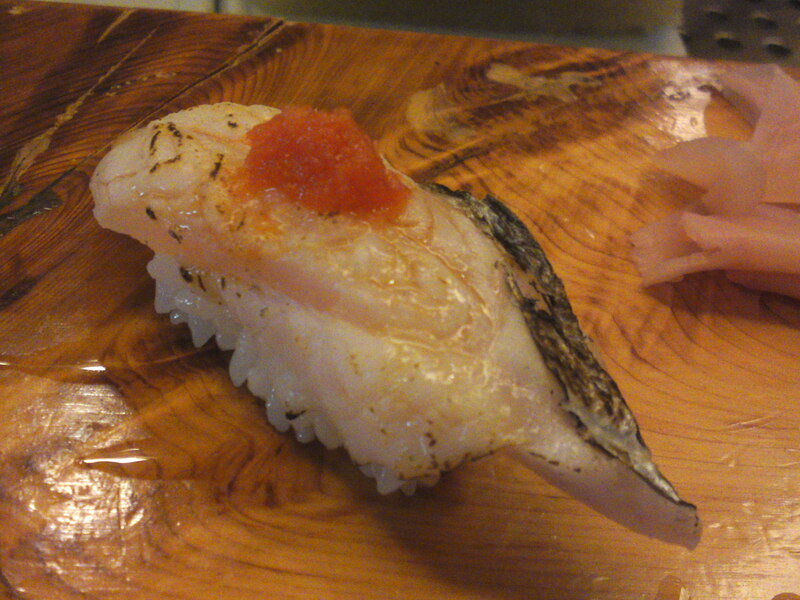 Shiro mebaru/白眼張、白眼張魚、白鮴: white Japanese sea perch-rockfish! 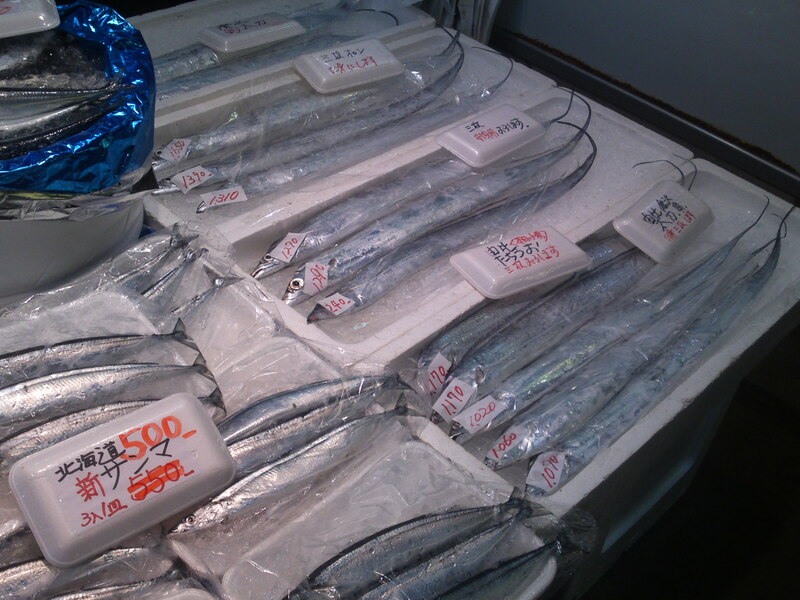 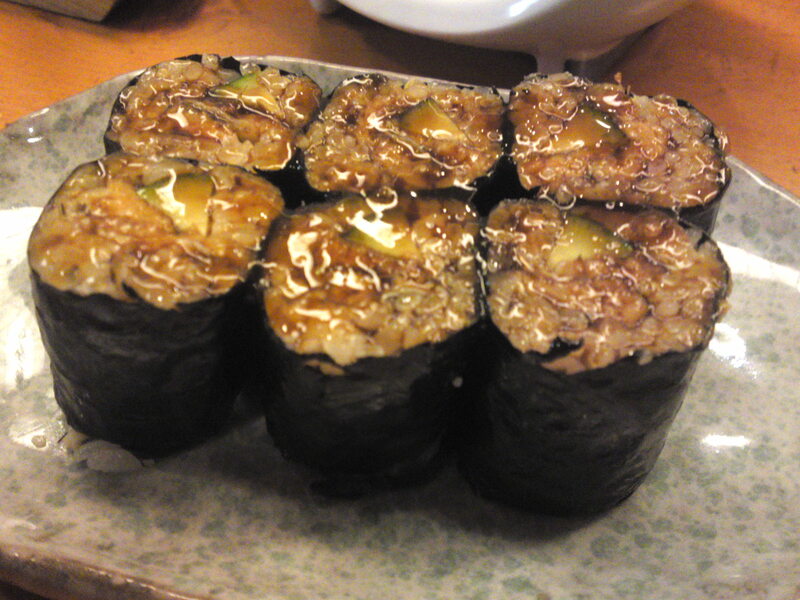 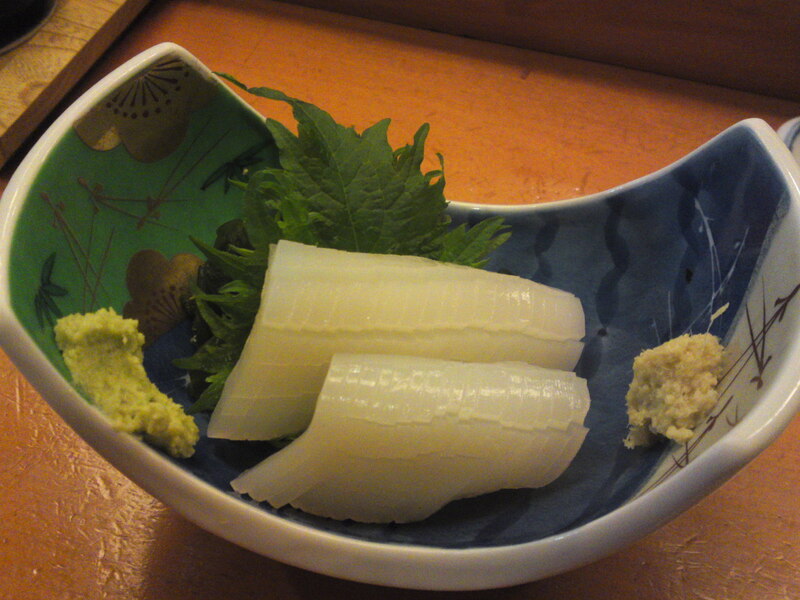 A Shizuoka specialty: Shirasu/白子(Namashirasu/生白子 if raw): sardine whiting! 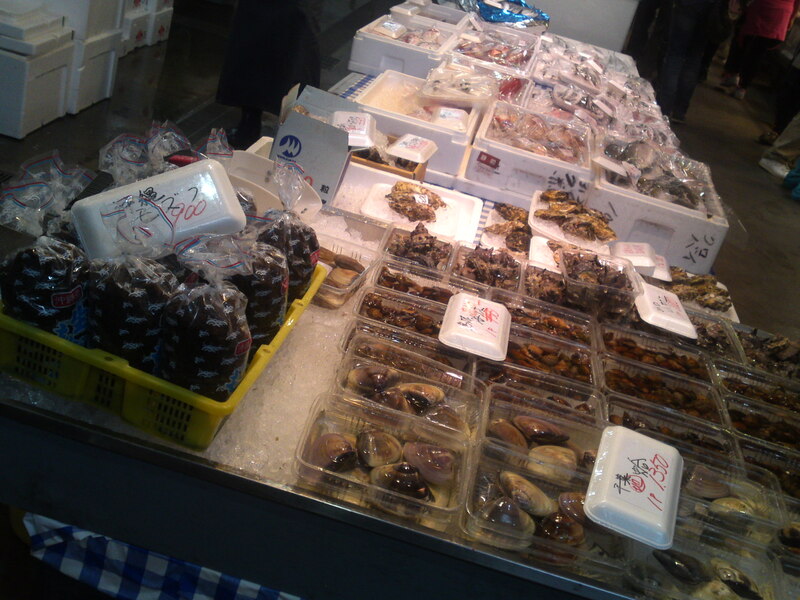 Should plenty more varieties soon! 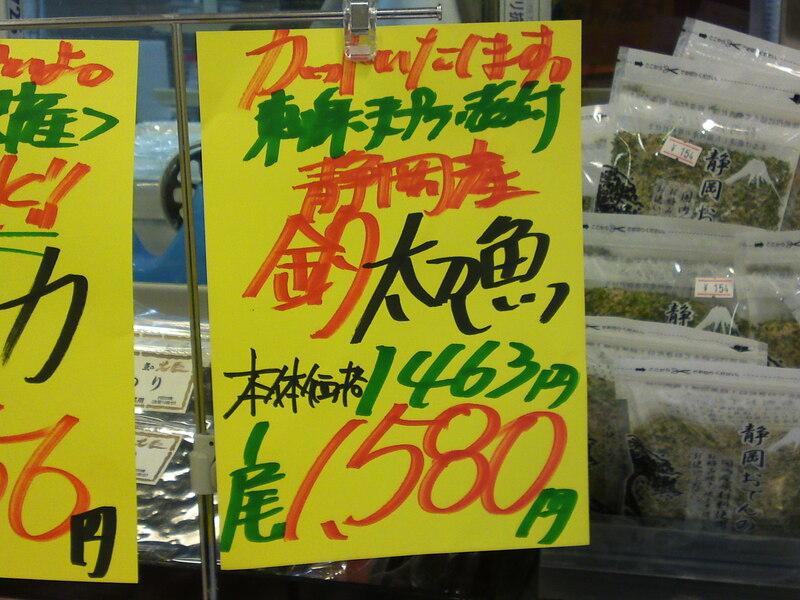 First of all, let me say that I just wrote this out of concern for some of my Friends! 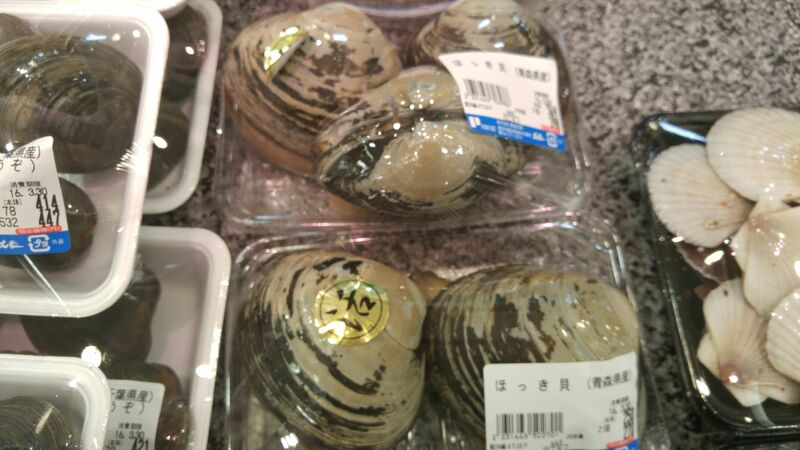 It was Lou-Ann‘s surprise in particular which prompted me into more investigation to back up knowledge acquired trhough many years spent in this great country, Japan. 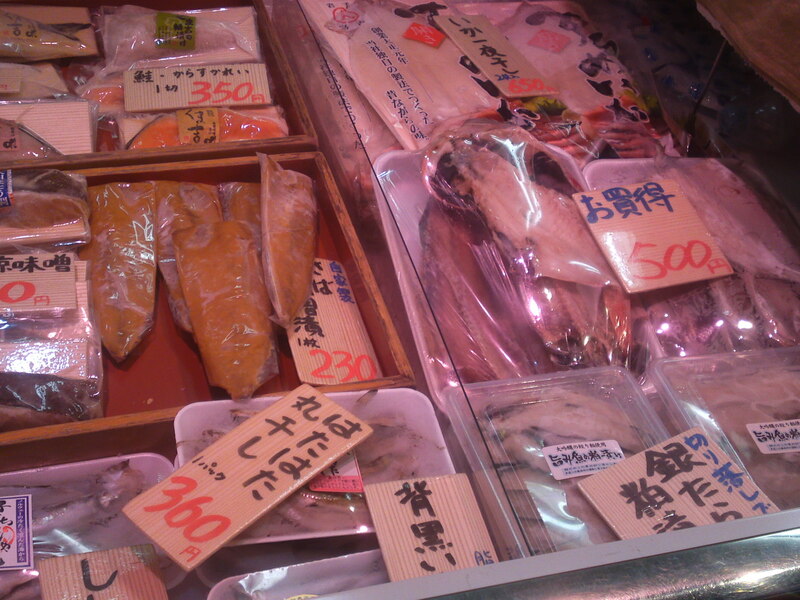 Japan is the one country which most extensively conducts and sponsors research and development of fish stocks. 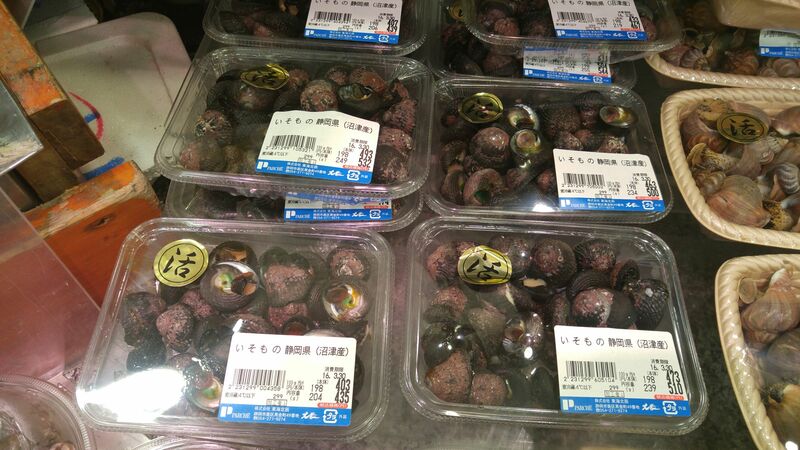 -Japanese fishermen south of Kyushu Island discovered that planting trees on small islands increased manifold the amount of vegetal plankton carried into the surrounding sea resulting in an immediate increase of the fish population. 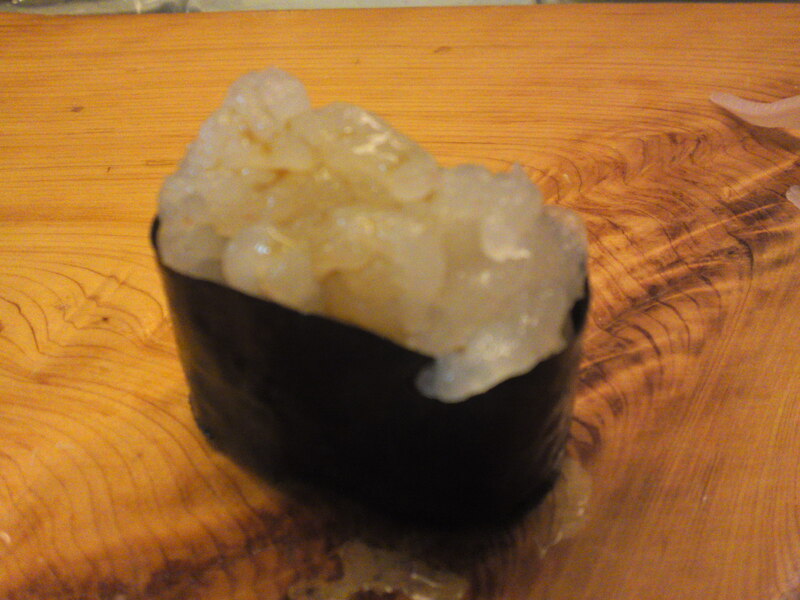 -Japanese researchers found out that building small pyramids on the sea floor with concrete or plastic (a beneficial dumping at last?) 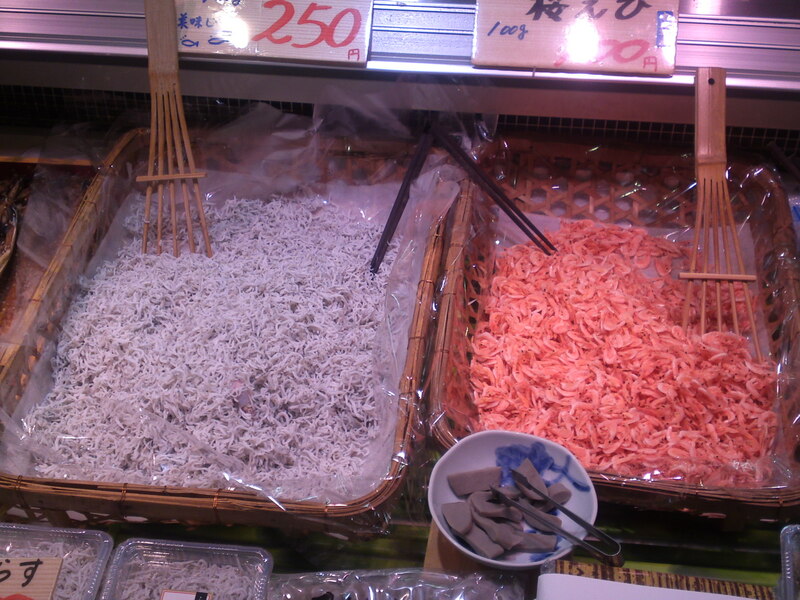 blocks attracted corals, sea anemones, seaweed and shellfish, thus creating a food chain for fish. 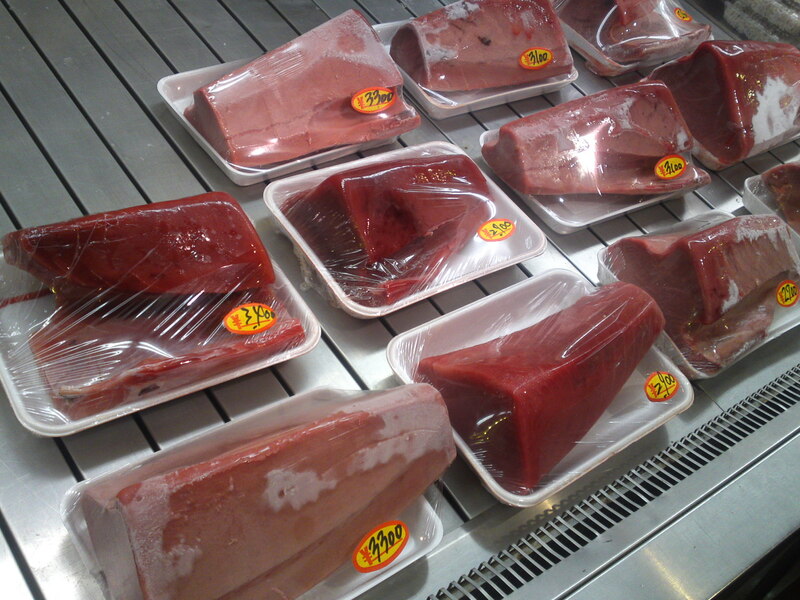 Such pyramids will surely prove more beneficial to mankind than all the Egyptian pyramids put together! 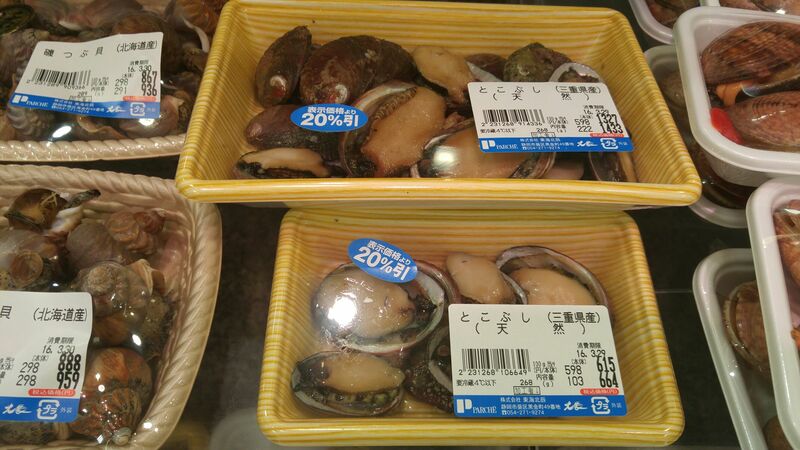 The Japanese have been (unjustly) accused of emptying the seas. 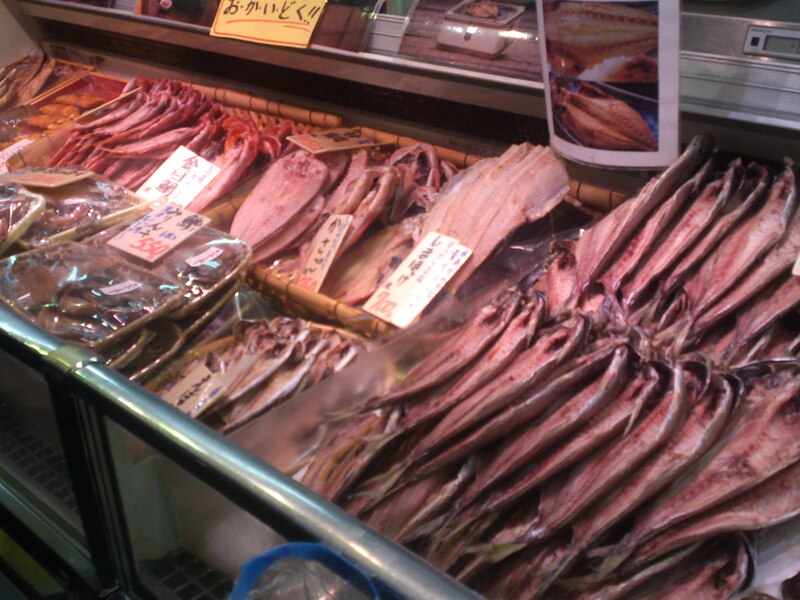 Actually Spain holds the world record for fish catch and consumption. 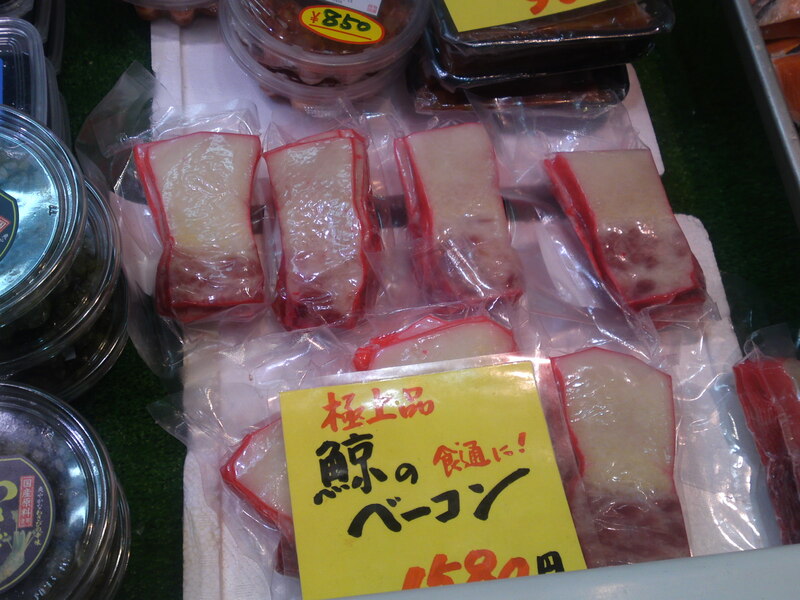 I already have written an article on whale meat. 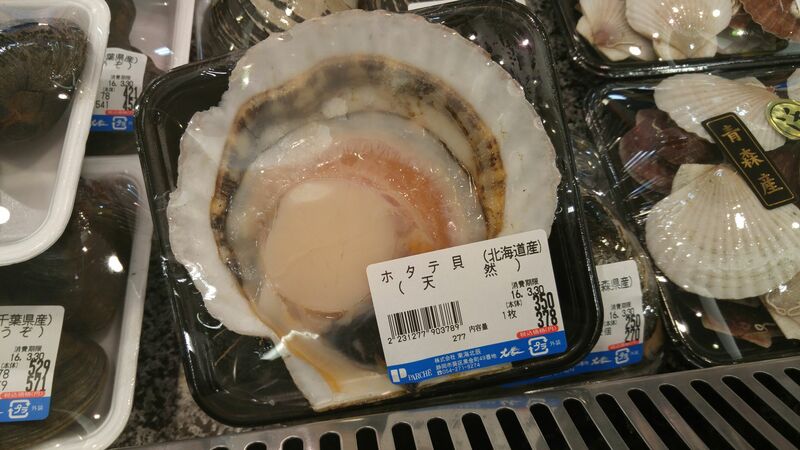 I find it galling that Japan is villified for eating whale meat by the very countries which depopulated the globe of sea-mammals in the 19th Century: US, Canada, Russia, Australia and New Zealand (alright, Great Britain for the last two maybe!) 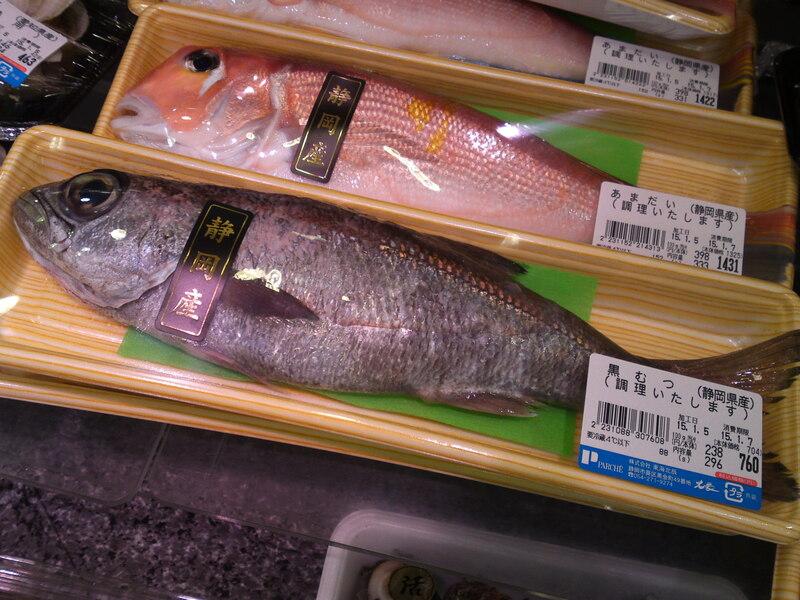 in the Pacific Ocean. 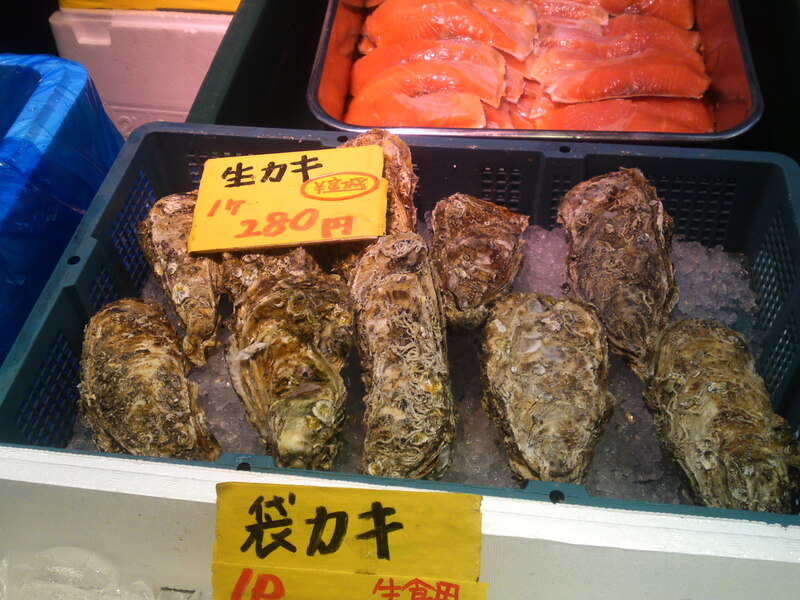 US, Canada, Norway, Great Britain, France, Spain and Russia in the Atlantic Ocean. 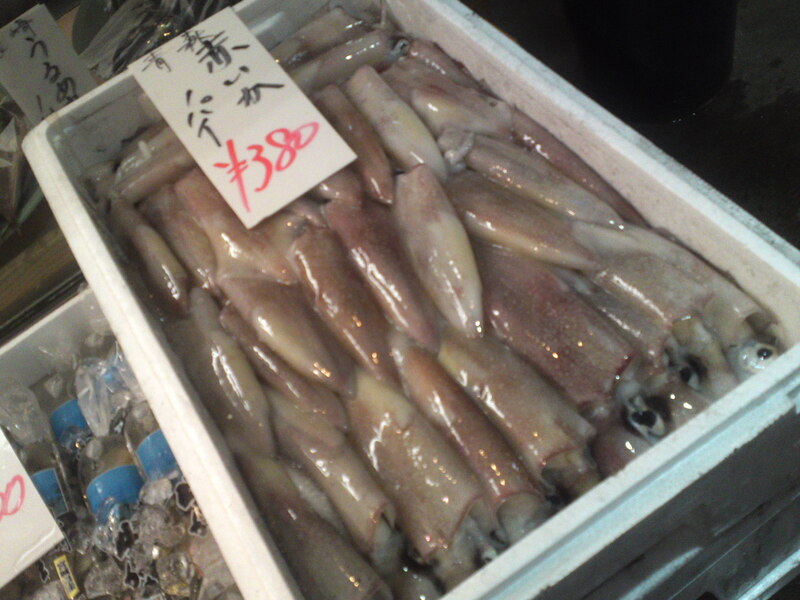 And most of them again in the Arctic and Antarctic Oceans. 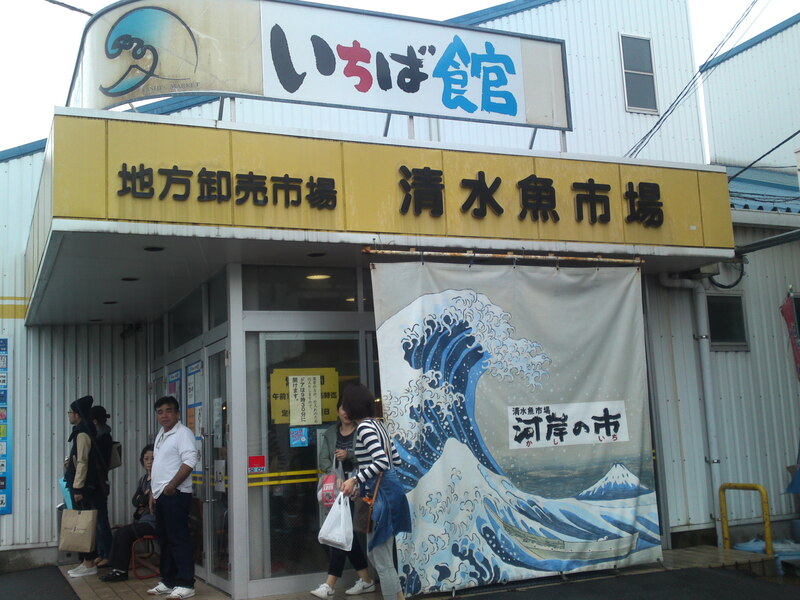 What do you think Commodore Perry was before he was delegated to order Japan to “open its doors”? 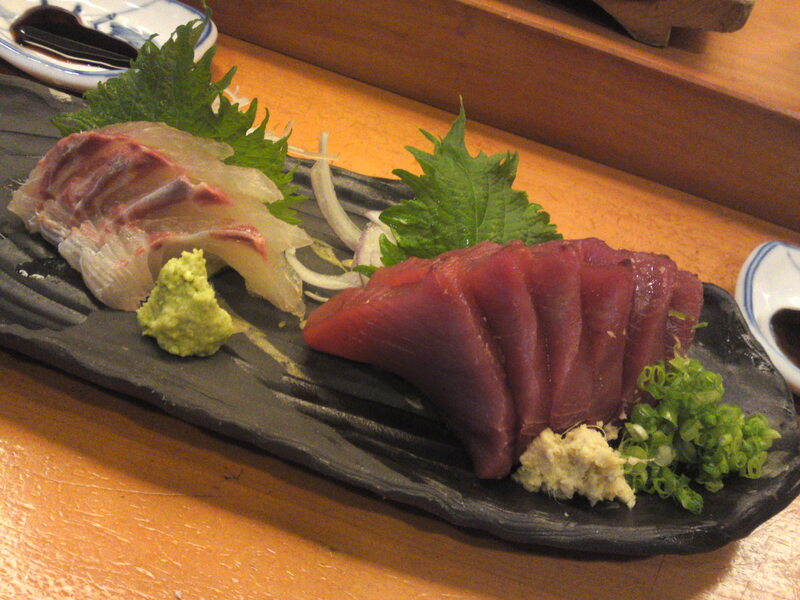 He was a bleeming whaler! 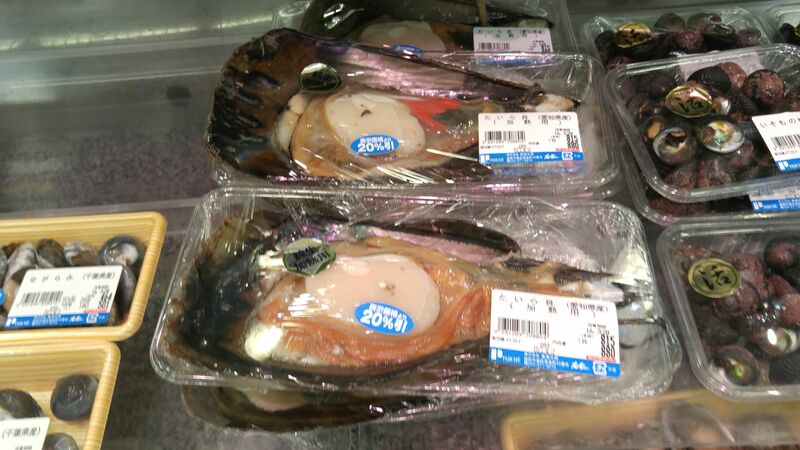 This country is repeatedly thrown into the same basket of evils. 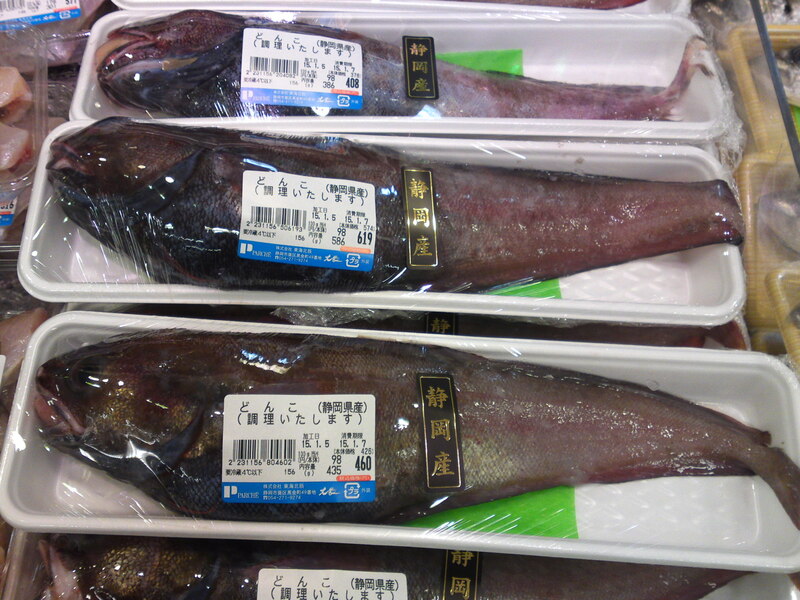 I was recently “told off” because the Japanese kill sharks for their fins before throwing the dead fish back into the sea. 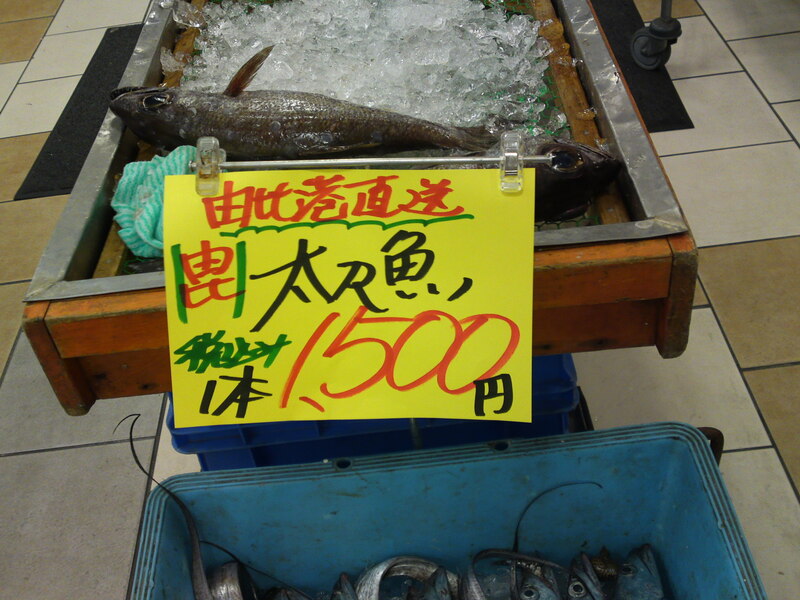 Sorry, mate, but you will have to ask the Chinese! 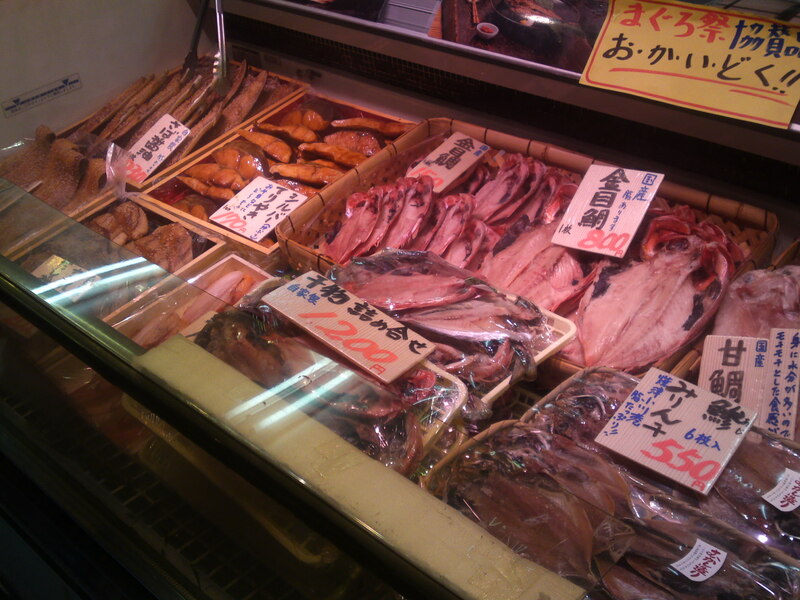 The Japanese eat the whole fish when they catch it. 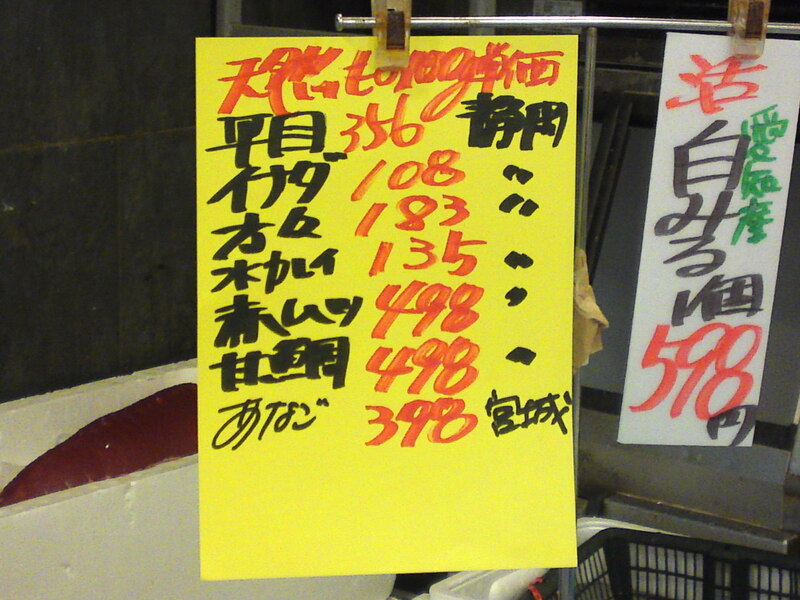 It could go on and on, but this is not the real purpose of this article. 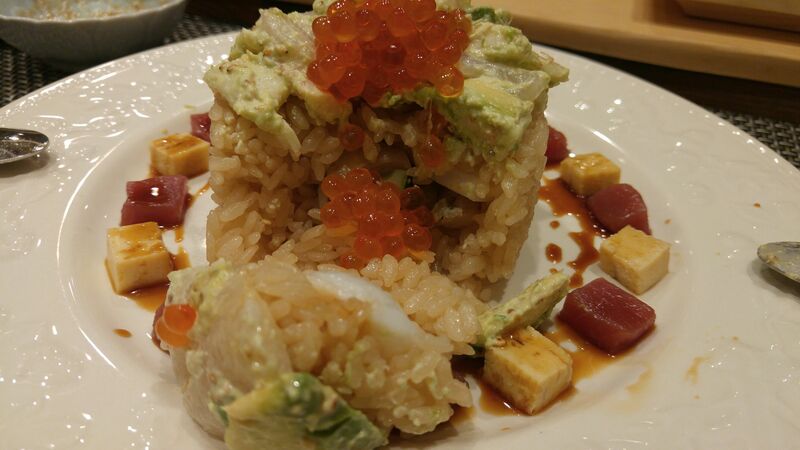 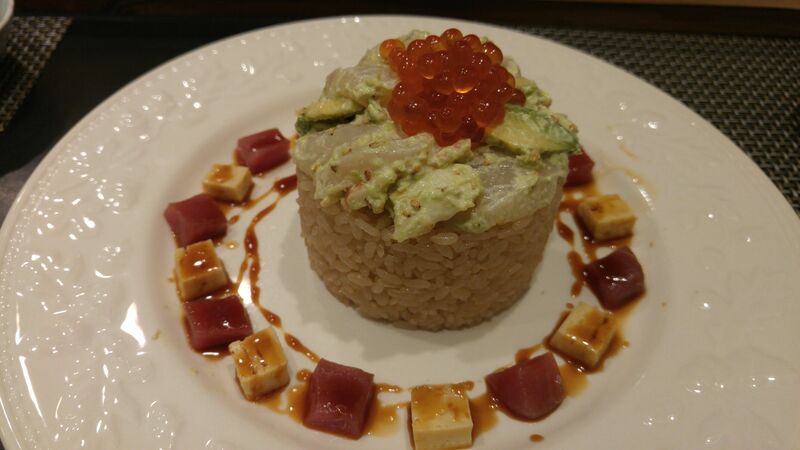 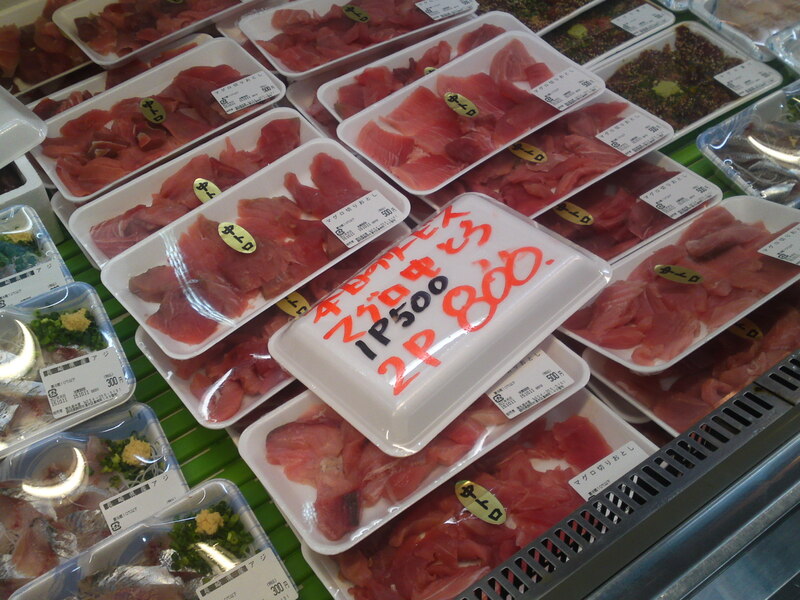 Yes, you read it, Blue Fin Tuna! 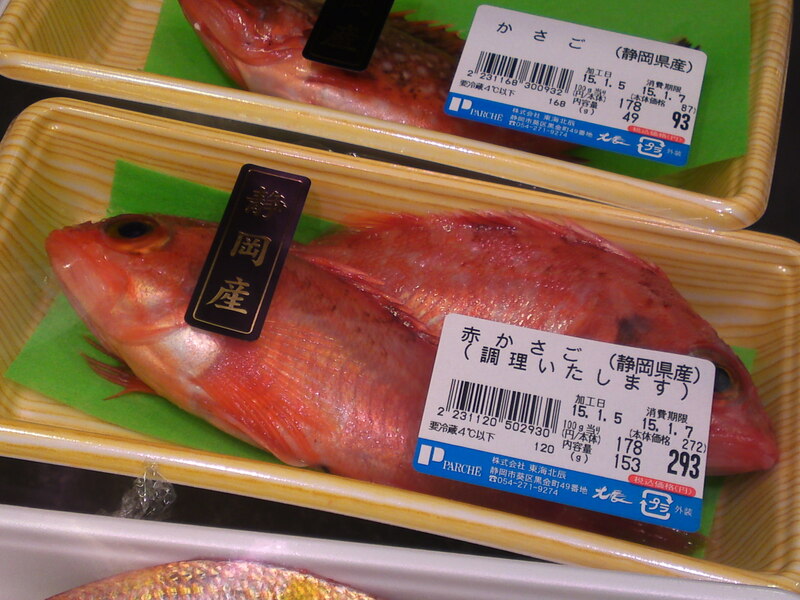 After 23 years of experimentation, a Kyushu fishmonger has finally succeeded in producing the fish from natural mating inside giant offshore sea parks. 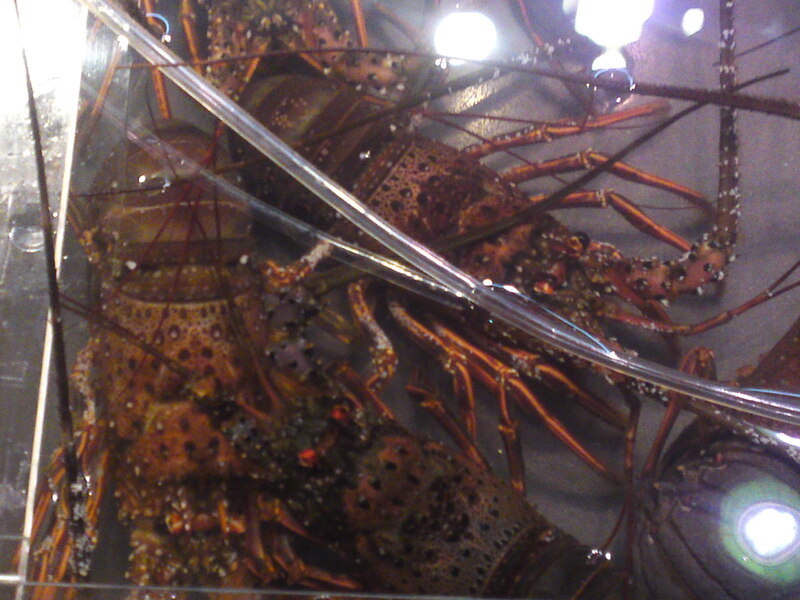 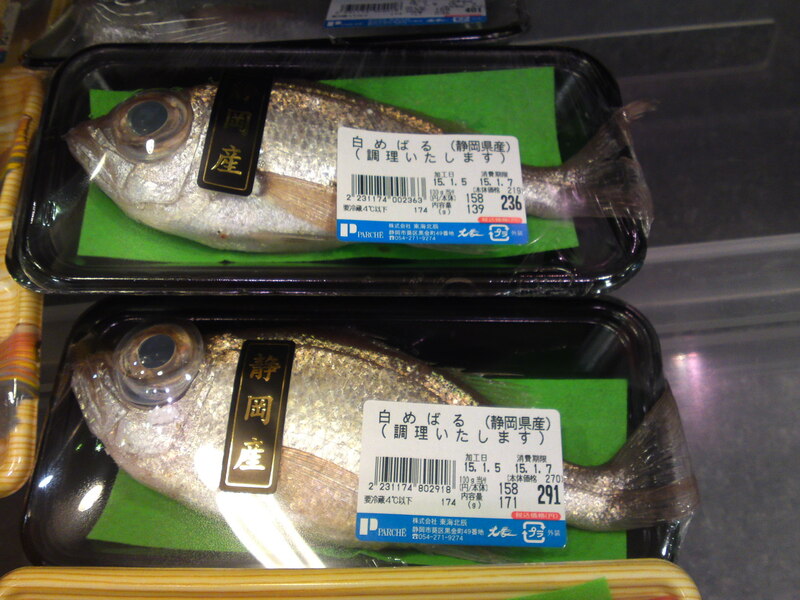 The fish is already sold over the counter at supermarkets. 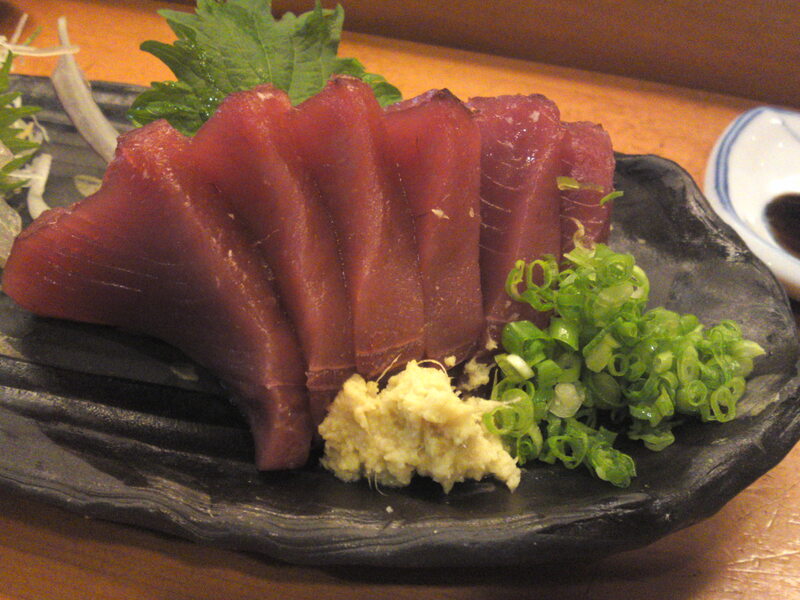 Recently Blue Fin Tuna has been raised from the egg to 35 kg specimen at the Univeristies of Tokai and Kinki! 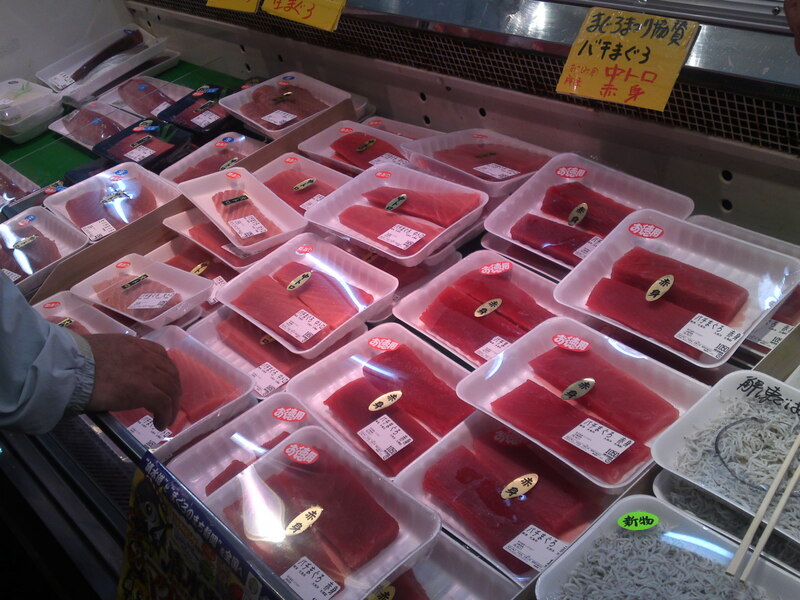 With a ban on tuna fishing in the Mediterranean Sea being pushed through legislation by the EU, Japan will find itself one day in the rich position of actually exporting tuna! 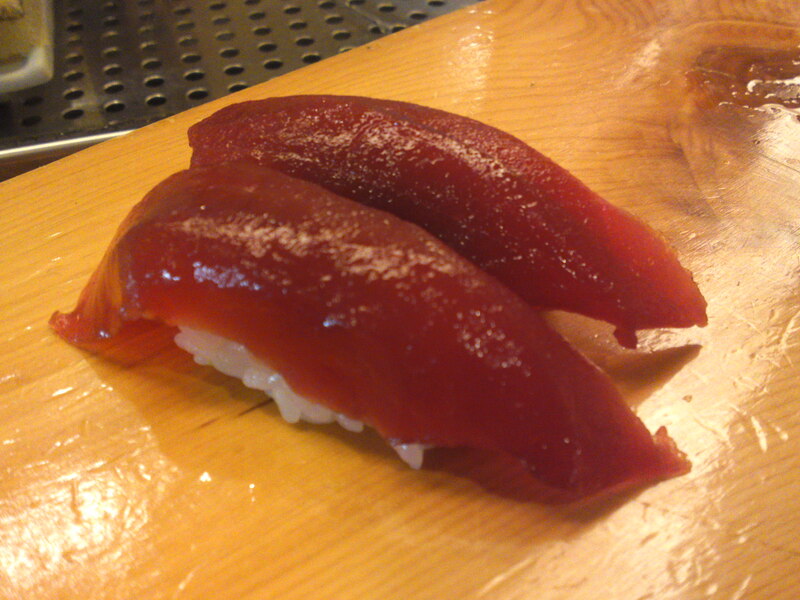 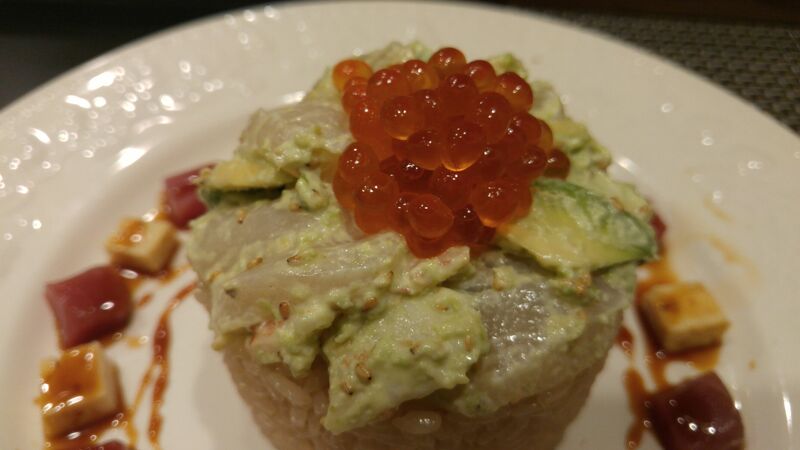 Indian Ocean Tuna/Indo Maguro: Human-raising Research is conducted abroad and such fish are imported to Japan. 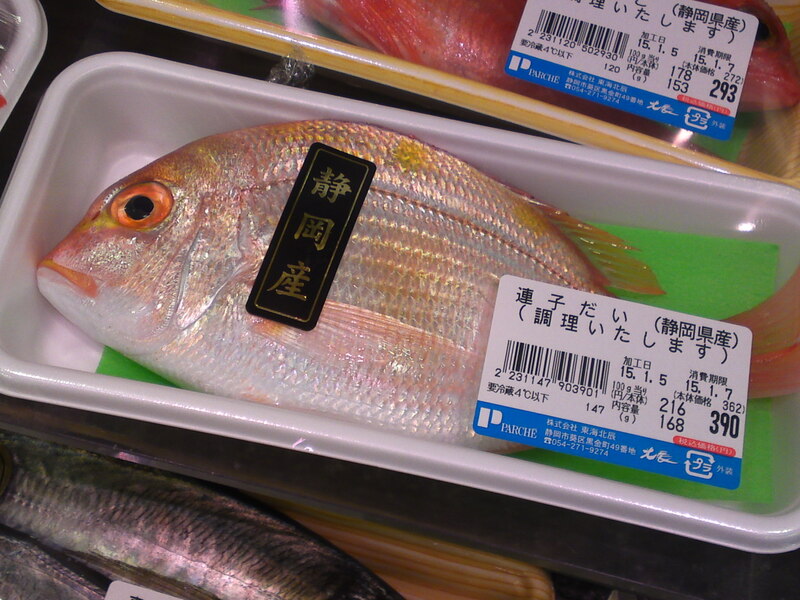 Over 62,000 tons of human-raised fish consumed last year. 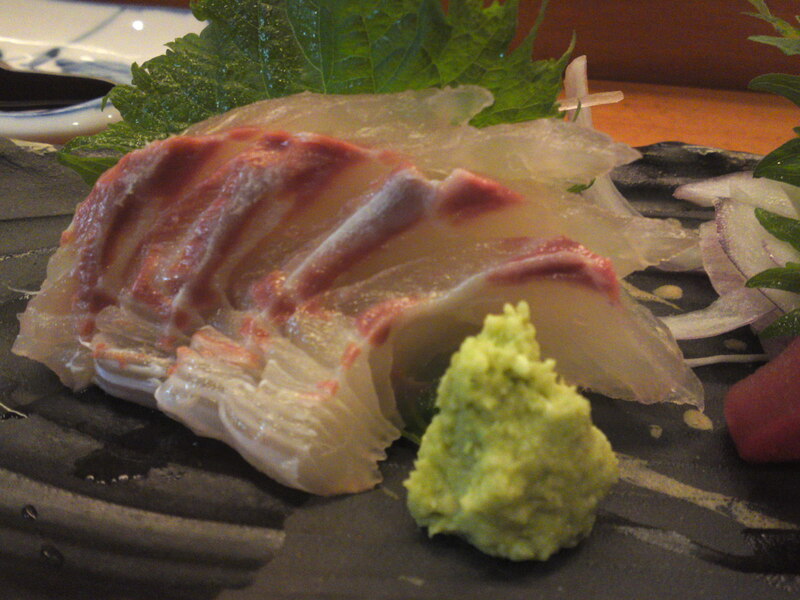 Over 49,000 tons of human-raised fish consumed last year. 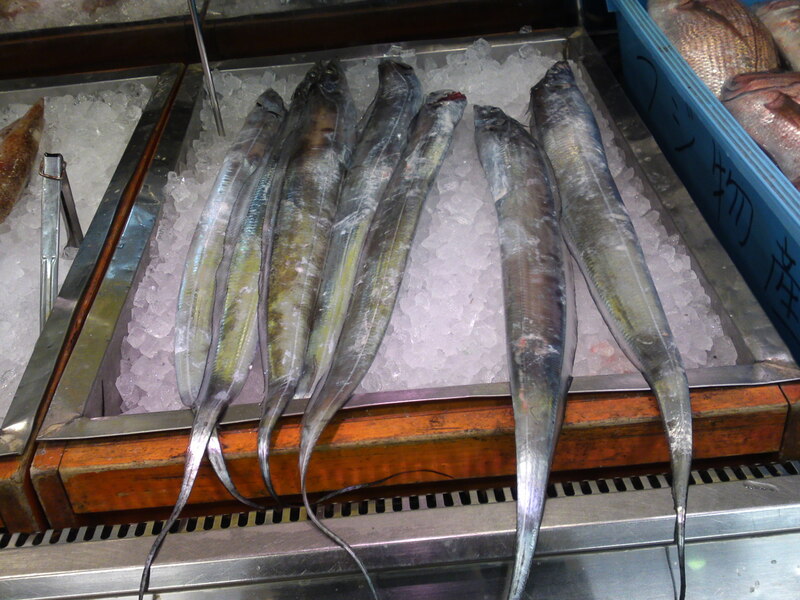 Over 3,000 tons of human-raised fish consumed last year. 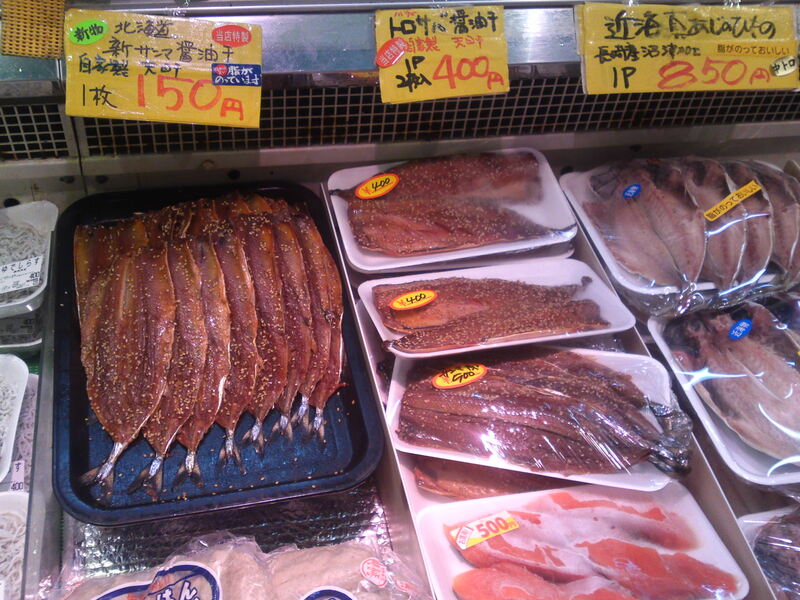 Over 3,500 tons of human-raised fish consumed last year. 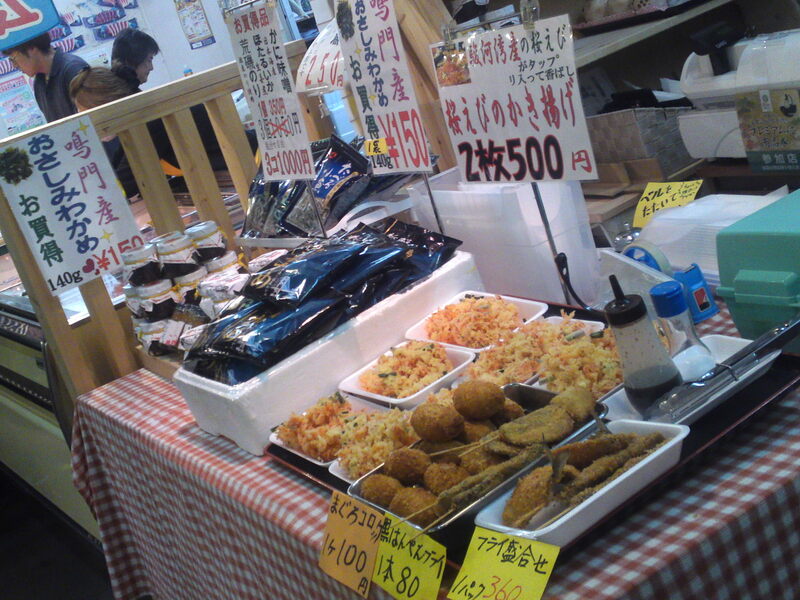 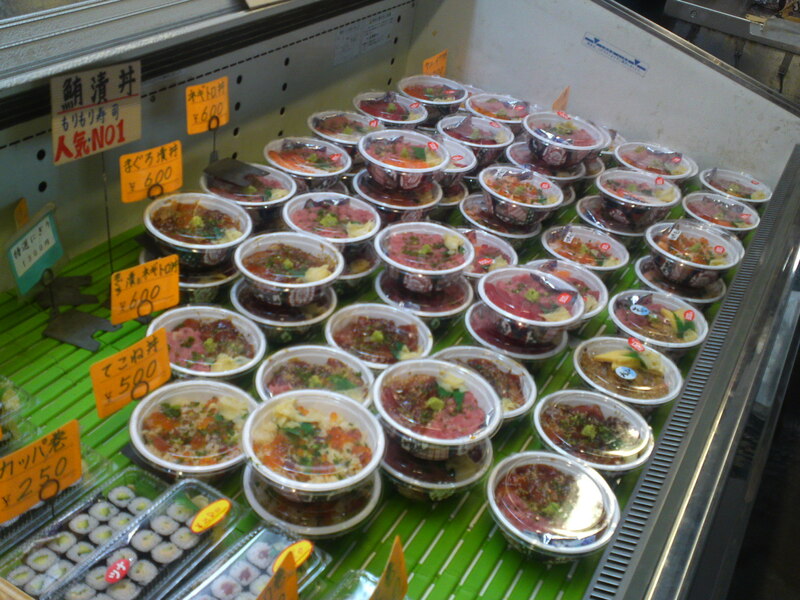 Human raising succeeded and fish are already sold over the counter. 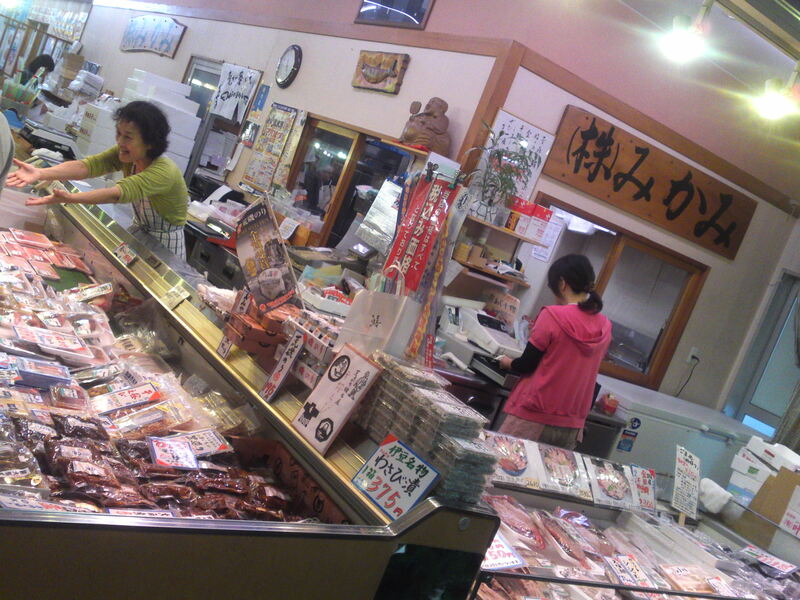 Human-raising Research is being conducted. 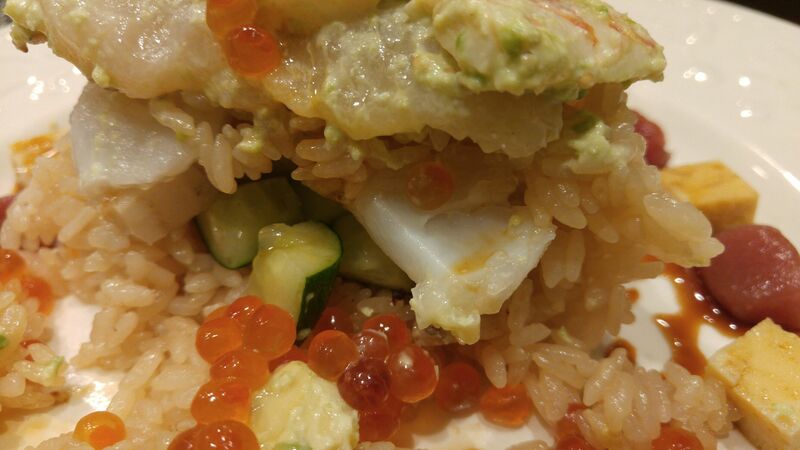 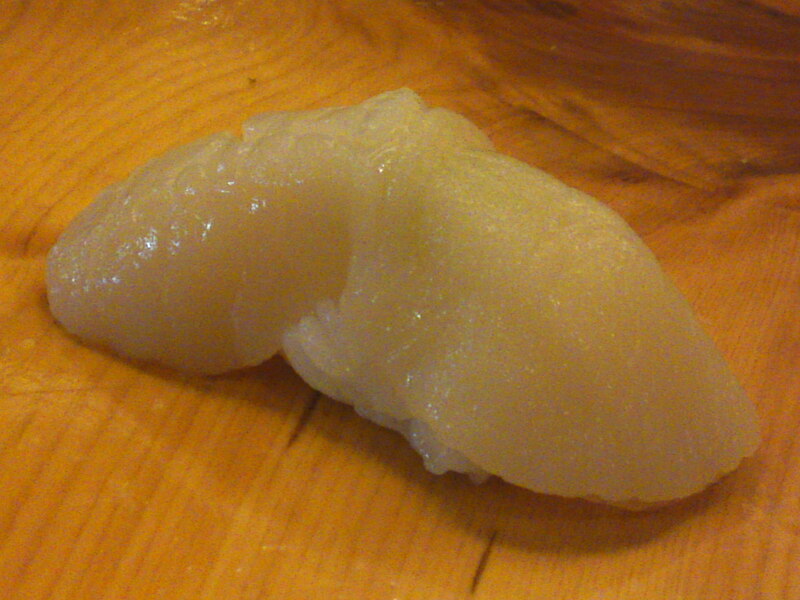 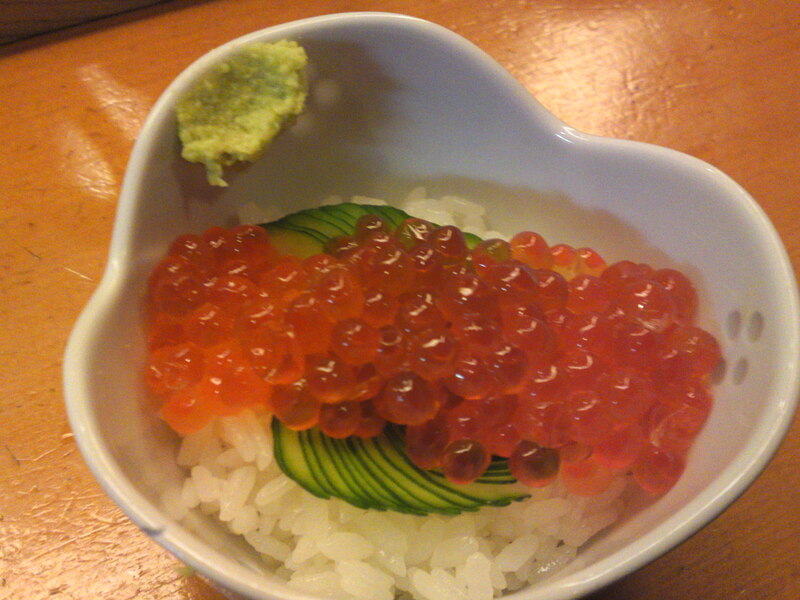 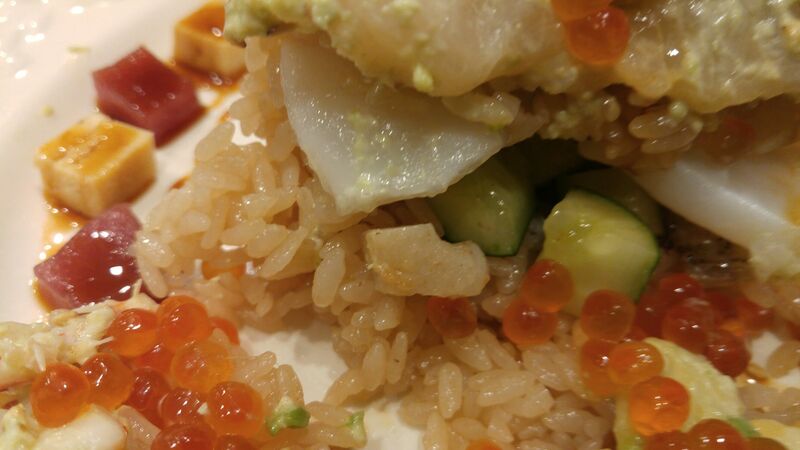 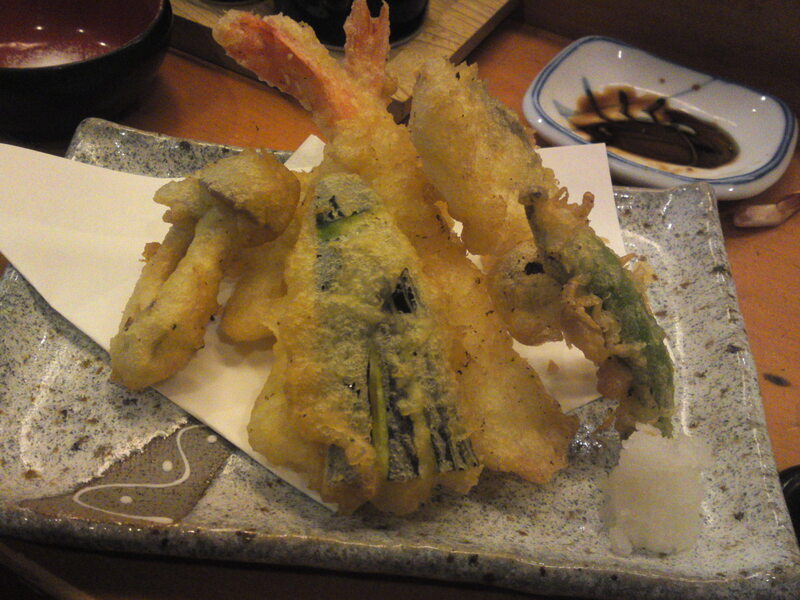 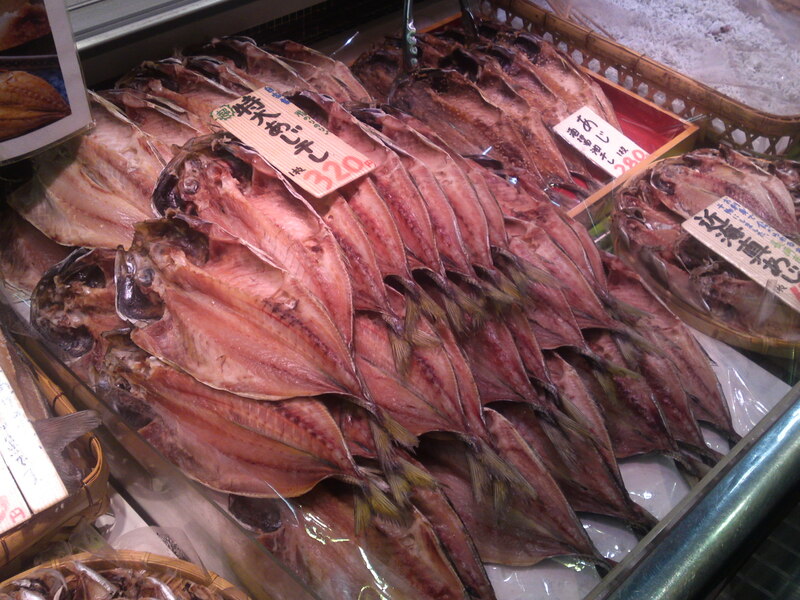 9 tons of human-raised fish consumed in Nagasaki Prefecture alone three years ago. 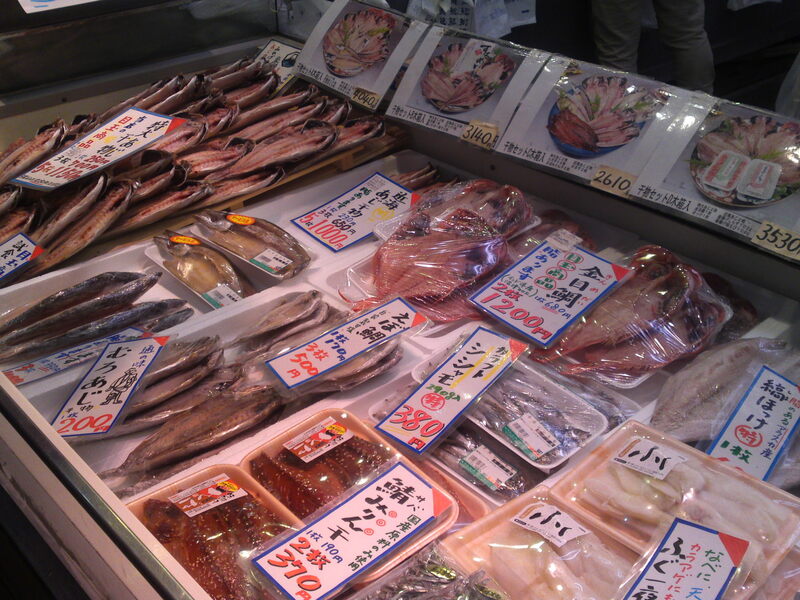 Over 8,000 tons of human-raised fish consumed last year. 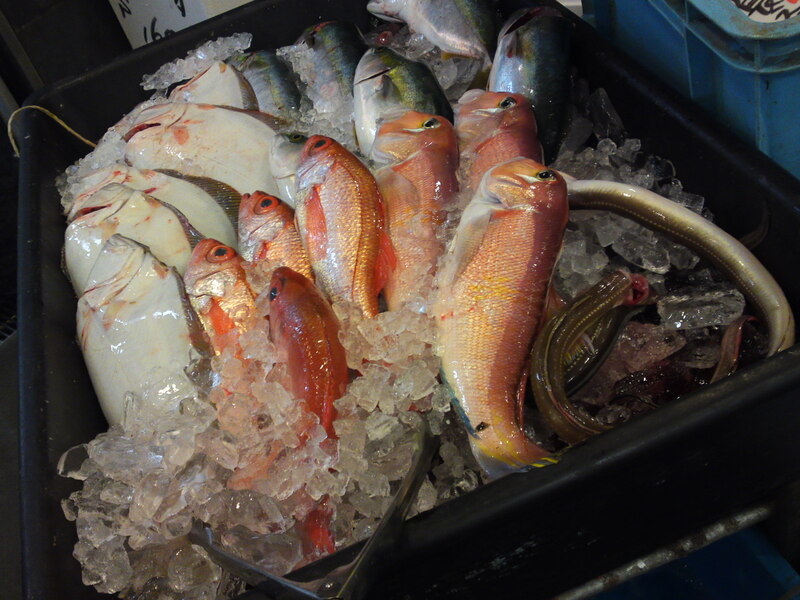 Over 71,000 tons of human-raised fish consumed last year as opposed to 15,000 tons caught at sea. 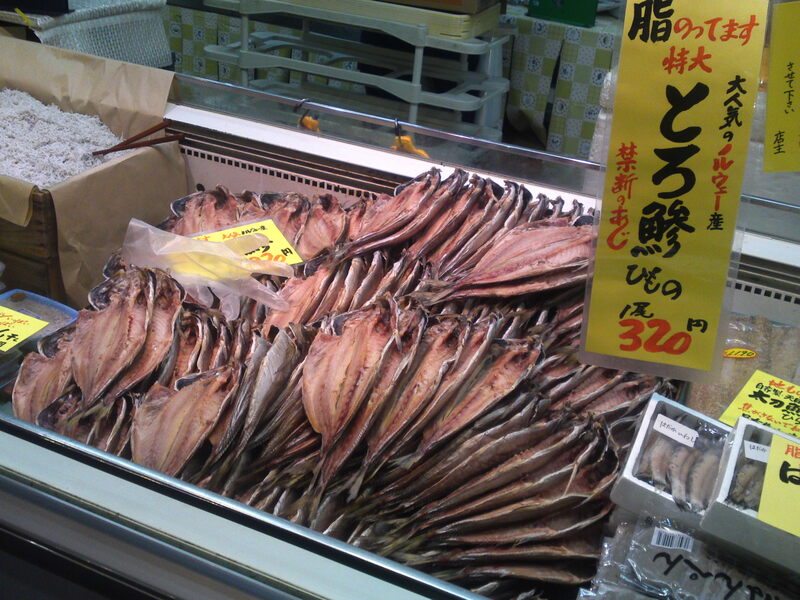 382 tons tons of human-raised fish consumed in Kagawa Prefecture alone last year. 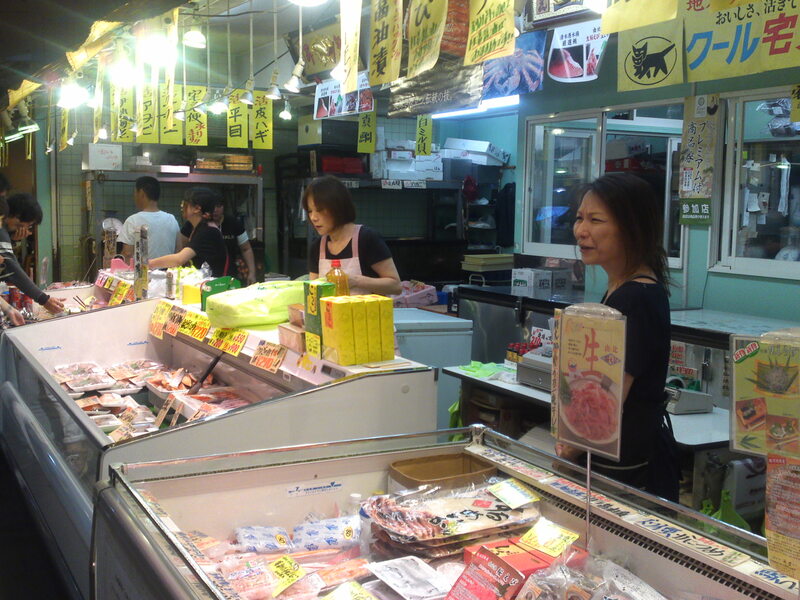 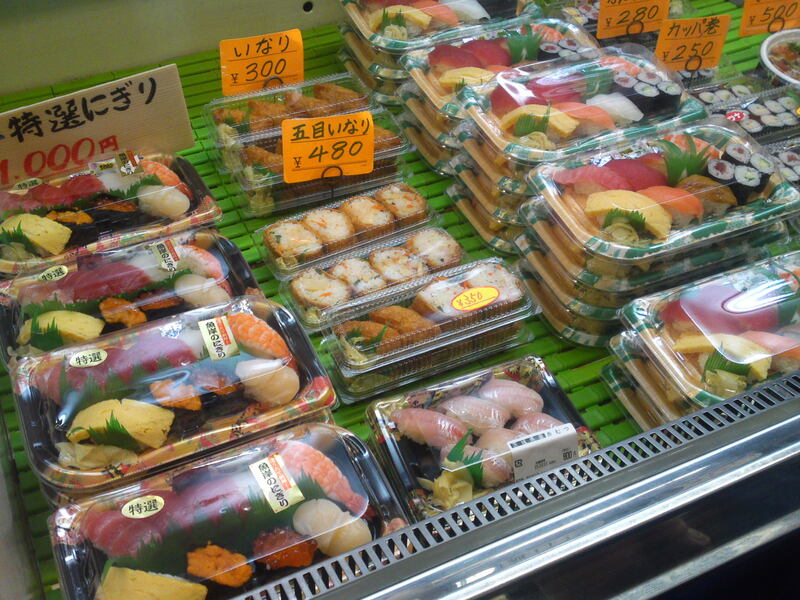 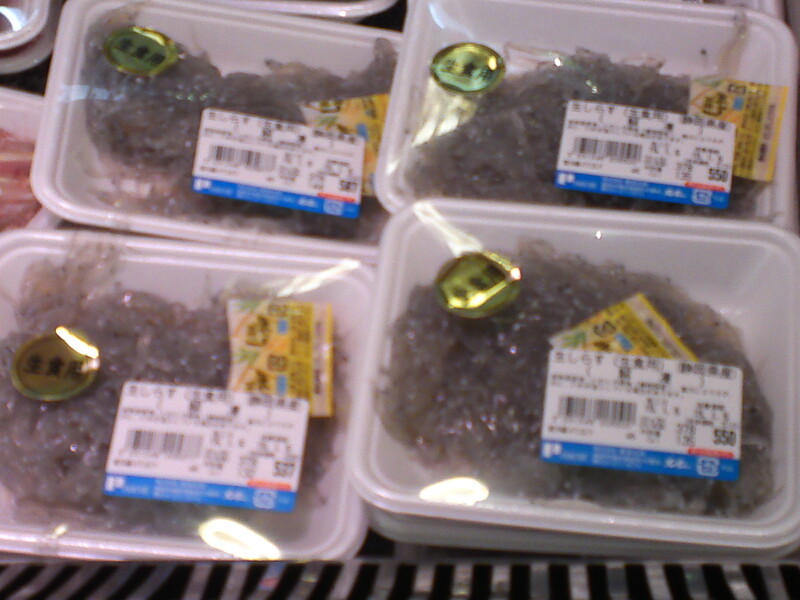 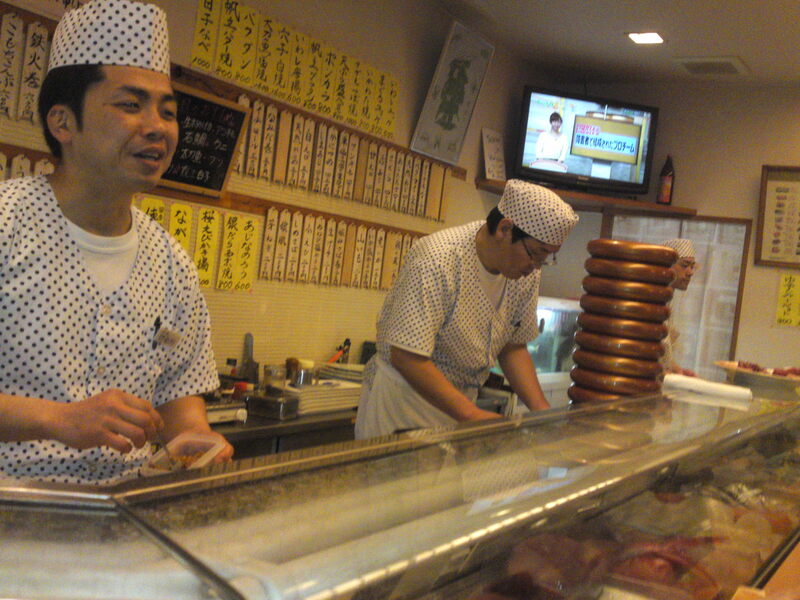 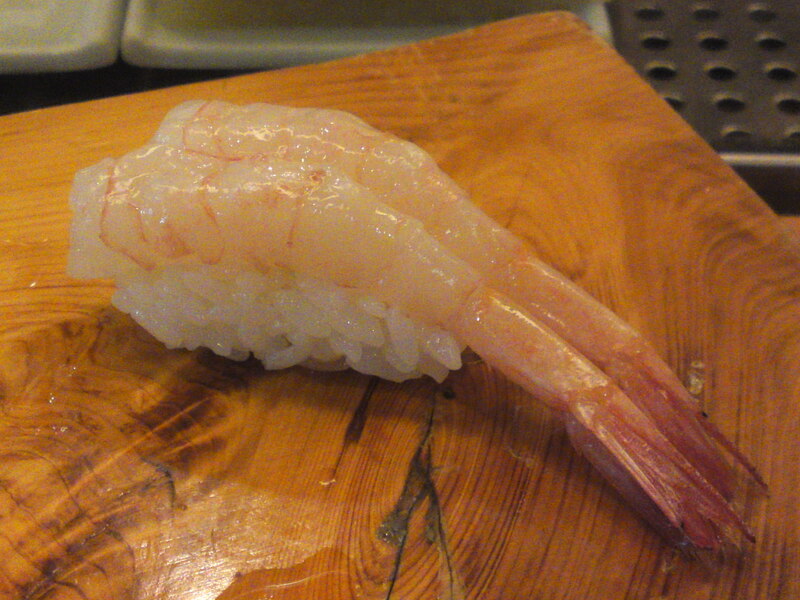 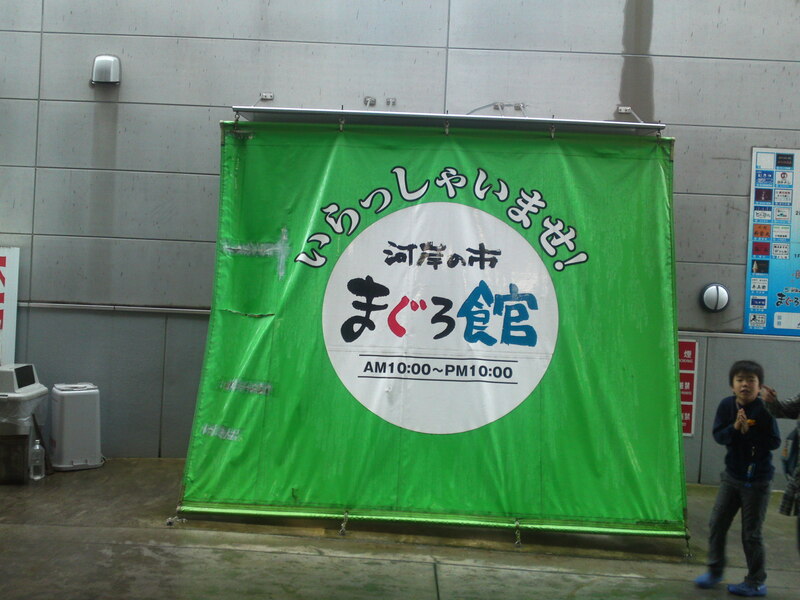 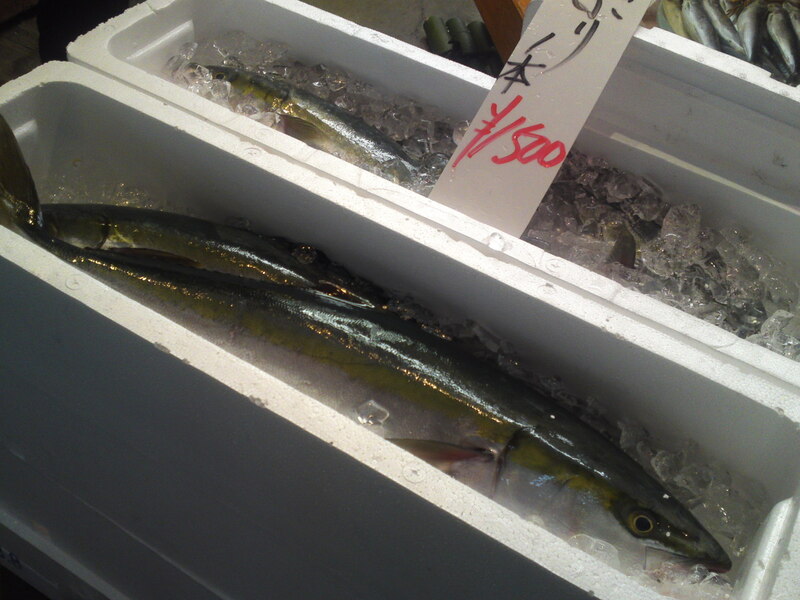 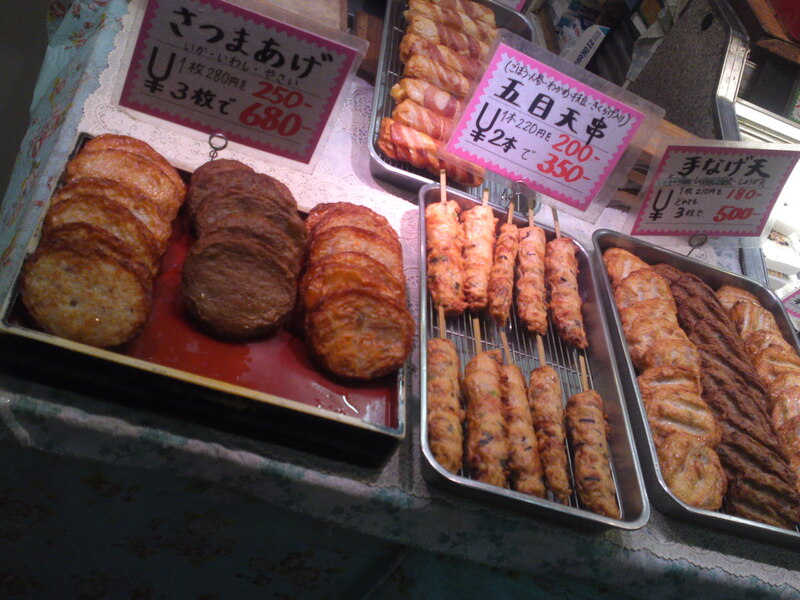 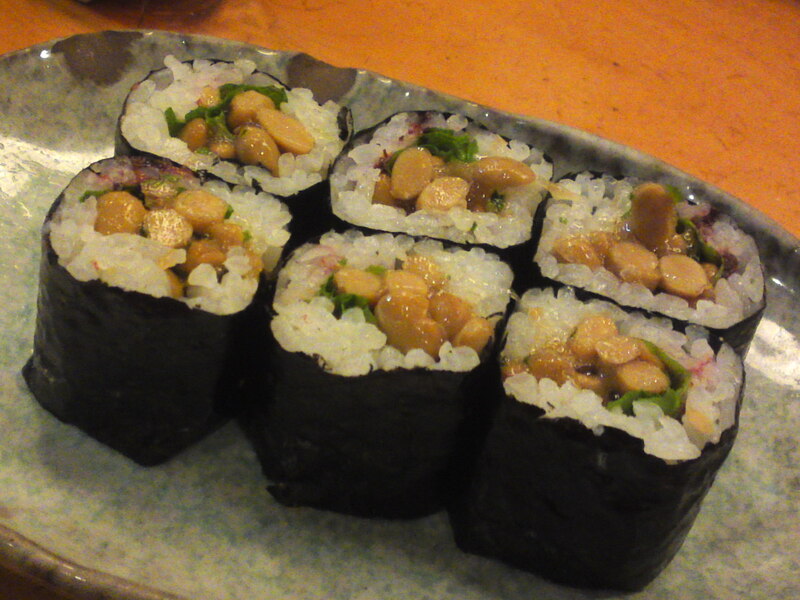 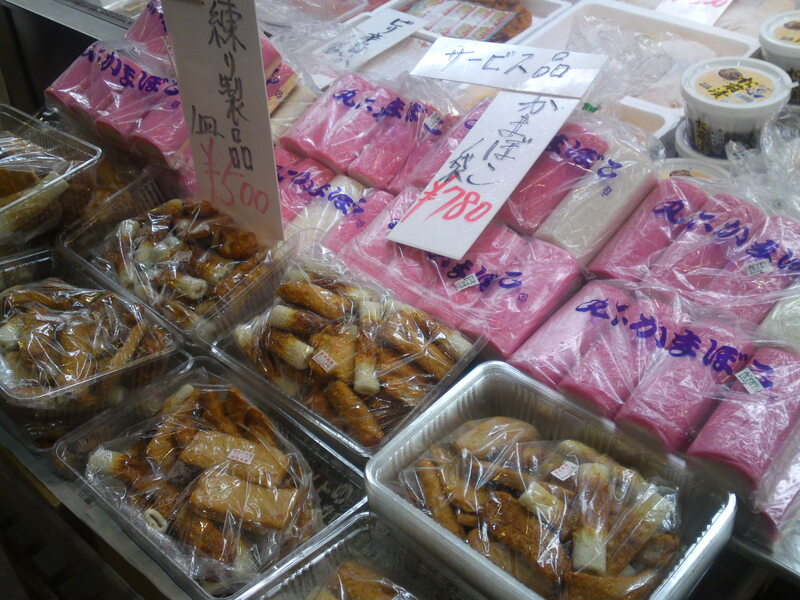 Human-raising has succeeded and some fish is already sold over the counter. 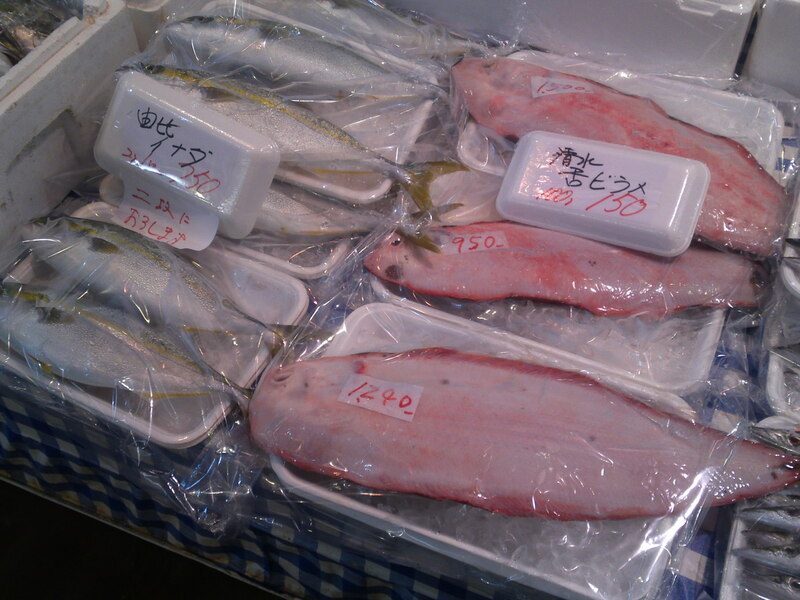 A success story in Shizuoka and Nagasaki Prefectures where human-raised fish are already sold over the counter. 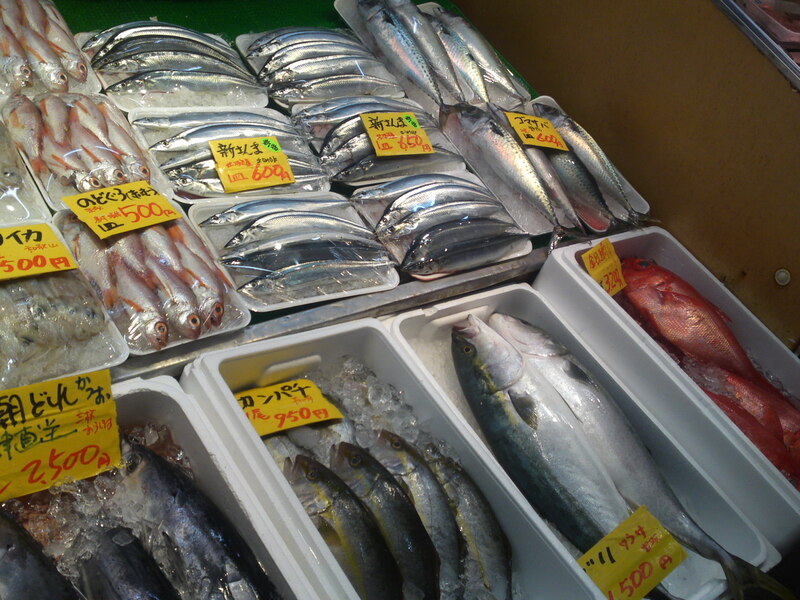 Over 5,000 tons of human-raised fish consumed last year. 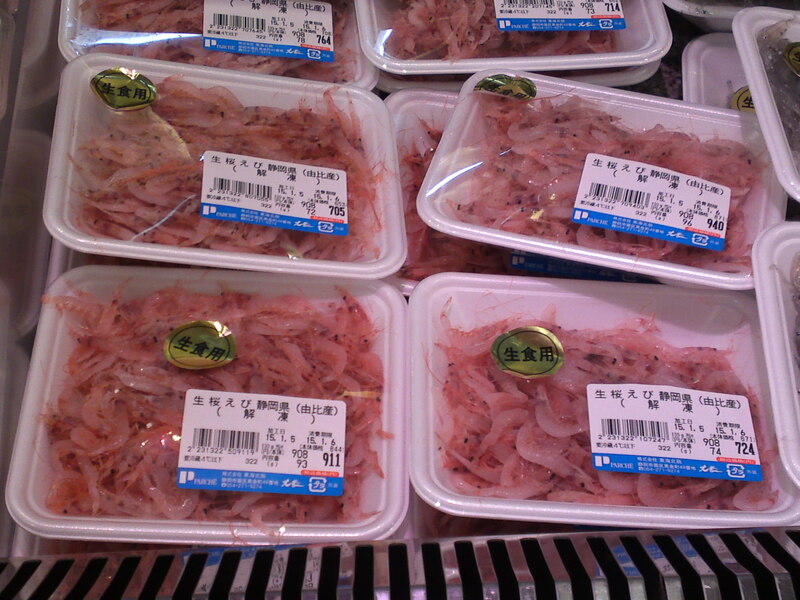 Over 1,700 tons of human-raised prawns consumed last year. 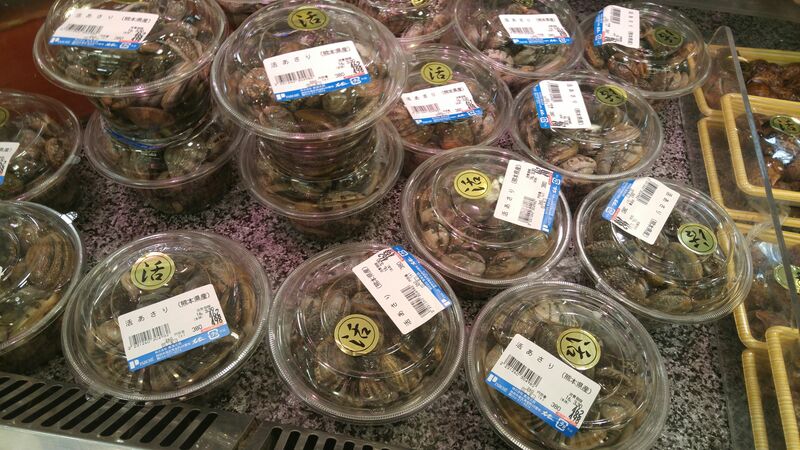 Very large amounts of half human-raised shellfish consumed last year. 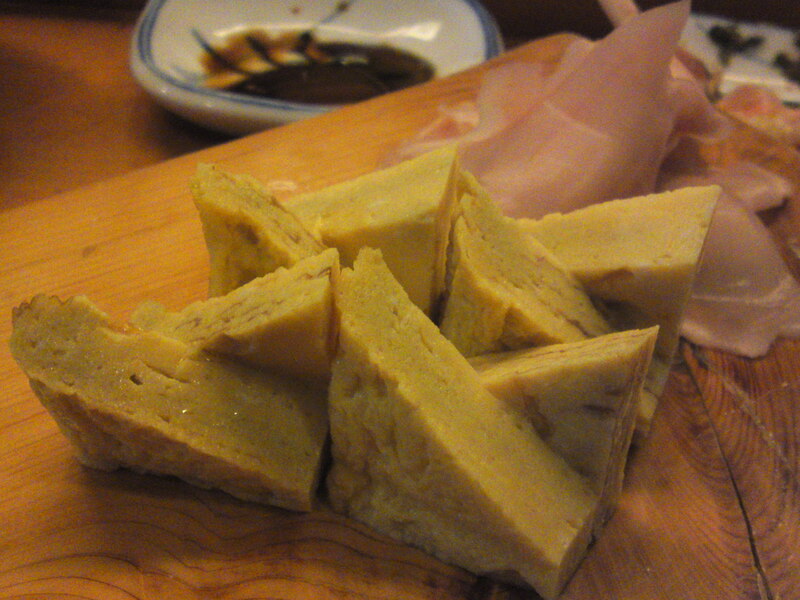 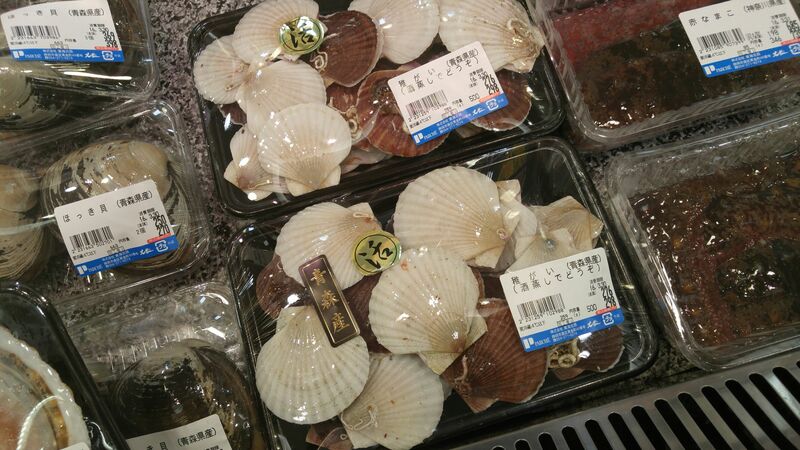 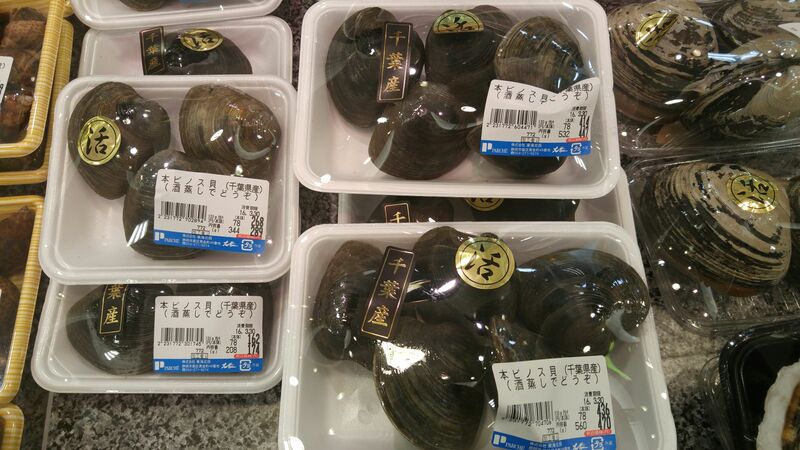 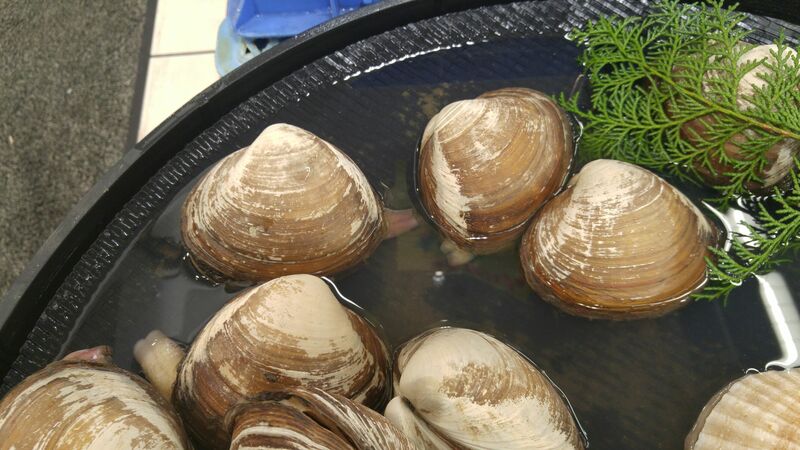 32 tons tons of human-raised abalones consumed in Hokkaido and Nagasaki Prefectures alone last year. 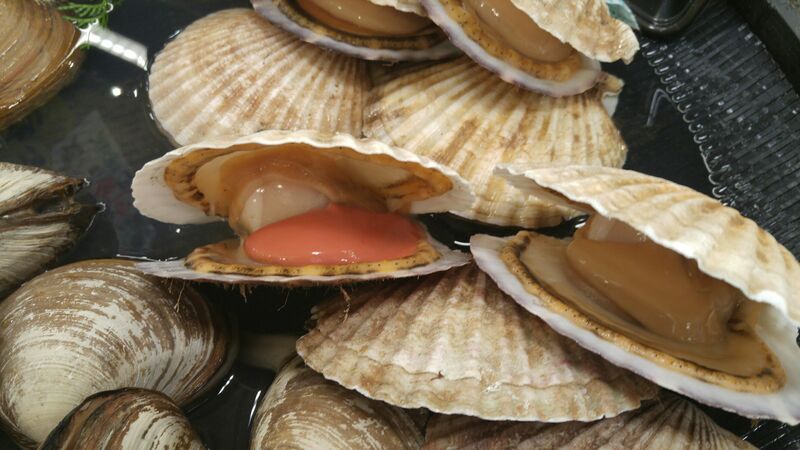 Over 270,000 tons of human-raised scallops consumed last year. 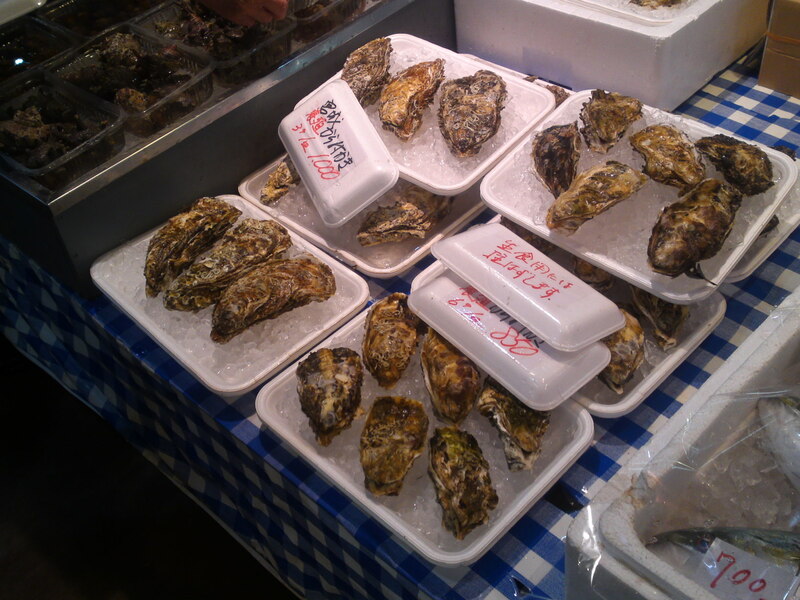 Over 220,000 tons of human-raised oysters + over 35,000 tons of the same out of the shell consumed last year as opposed to 1,600 tons of wild oysters. 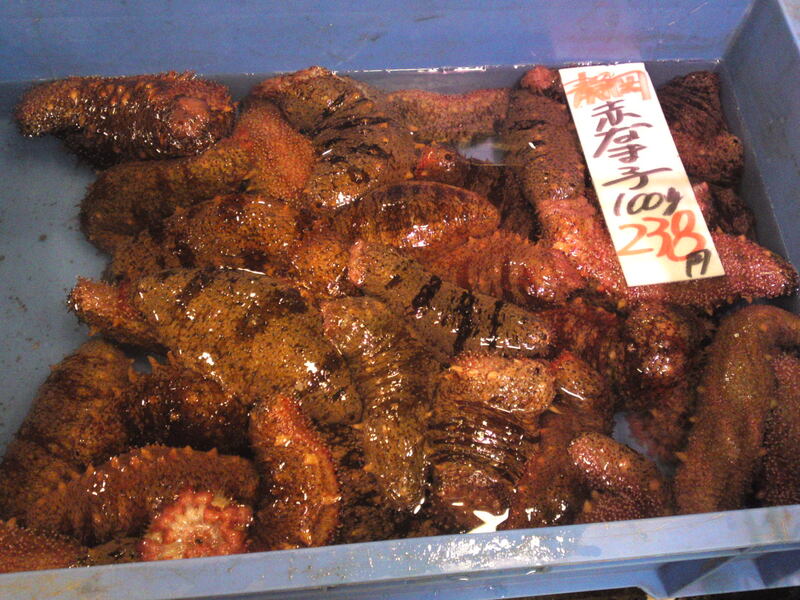 7 tons tons of human-raised sea urchin consumed in Hokkaido Prefecture alone last year. 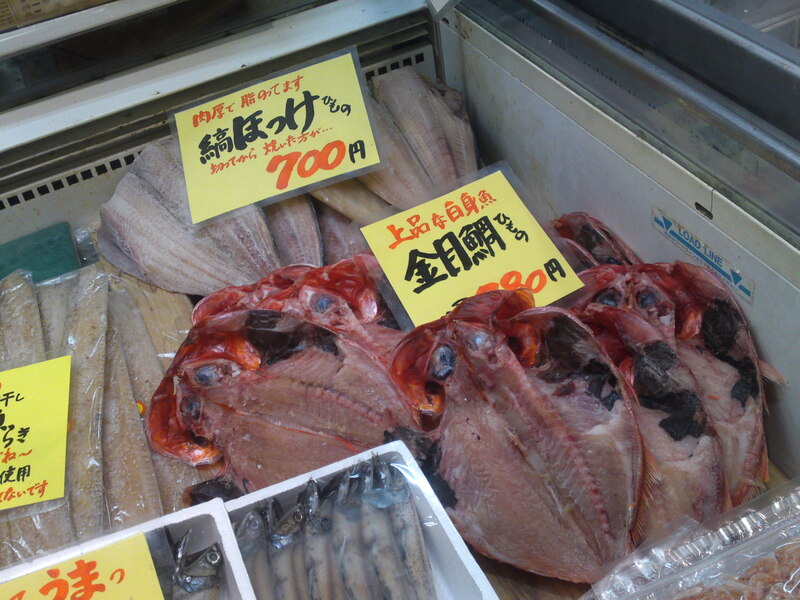 Over 21,000 tons of human-raised fish consumed last year as opposed to 610 tons caught in the wild. 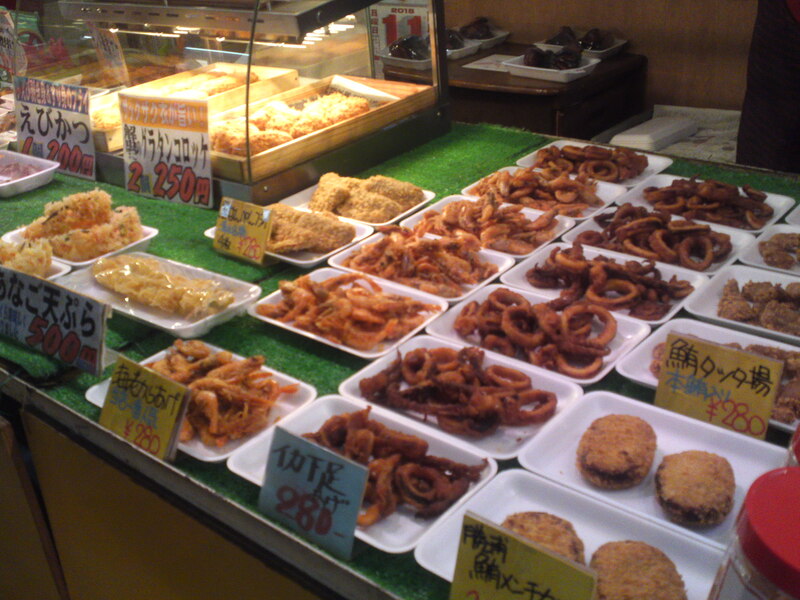 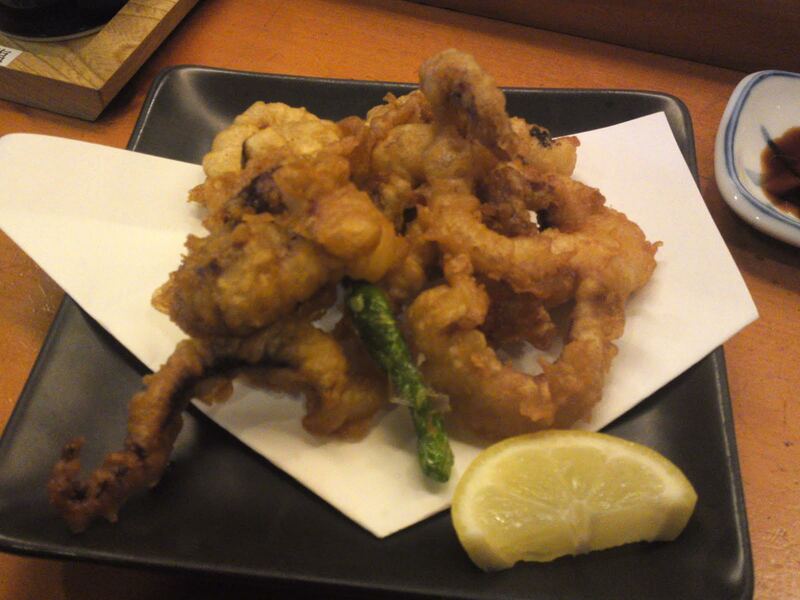 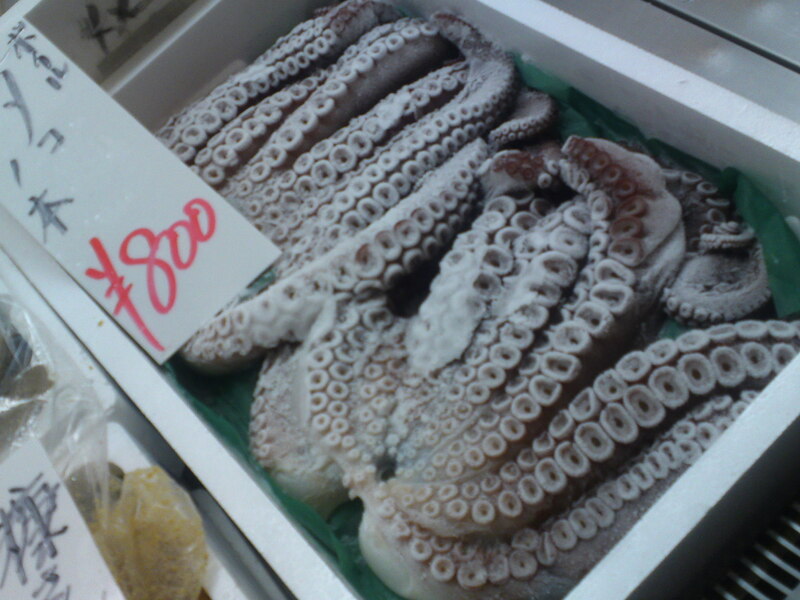 The Japanese have also starting research on different varieties of octopus/tako and squids/ika.